verview: Today, its a dose of Disney news. 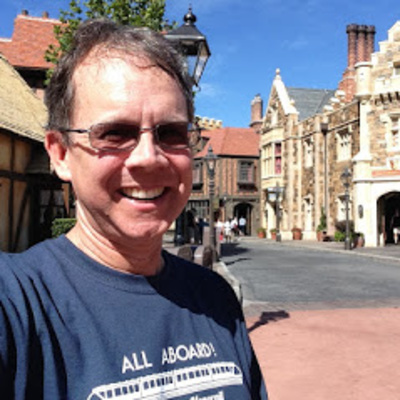 I've got goings on in the WDW parks, and talk about transportation around WDW. 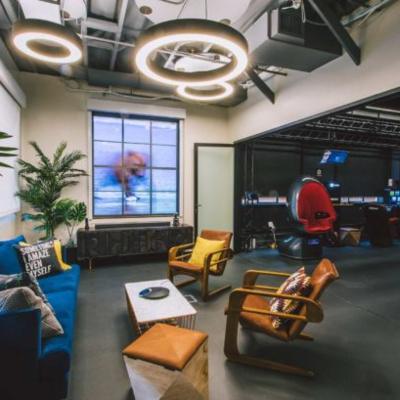 I've also got some things outside of the Orlando the park - namely some new technology Disney has come up with, and an update on 21st Century Fox. Notes: The monorail sign at the top of this entry was added to all cars after there was an incident with one monorail where the door wouldn't close. To be clear, not every car in every monorail has a problem - its just an ongoing maintenance problem. Happy 20th to the Animal Kingdom! 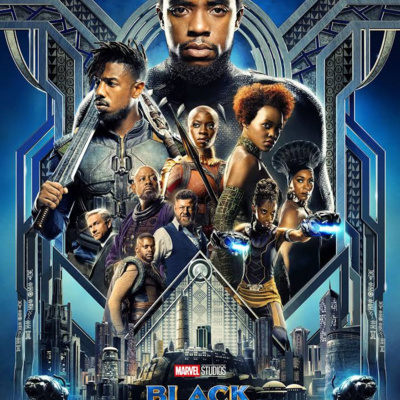 Overview: I caught the movie Black Panther, and wanted to take a few minutes and talk about it. In short: I enjoyed it. Way to go Disney! Notes: This is the second movie I've seen in the "superhero" realm (the first being Wonder Woman). As I note in the podcast, I enjoyed both so much, it might be time to catch up on the movies I've missed. 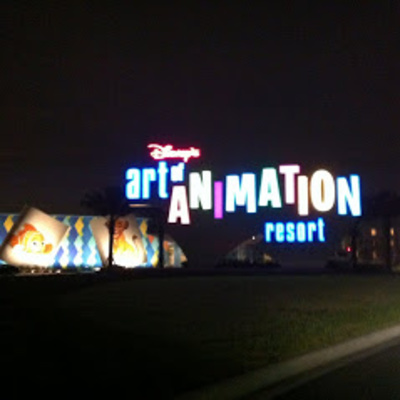 Overview: I ran across a couple of articles about Disney and their work in the digital content world. The acquisition of 21st century fox is the proverbial tip of the iceberg as Disney works to move into a whole new world. But I have a couple of other quick fun things to share, too. 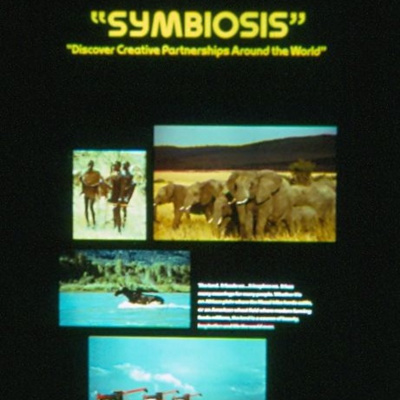 Ad Age article: http://adage.com/article/cmo-strategy/mouse-s-house/312235/ CNN Money Article: http://money.cnn.com/2018/02/06/media/disney-espn-streaming/index.html Notes: Windows 10 rotating through images from Soarin' is kind of fun. 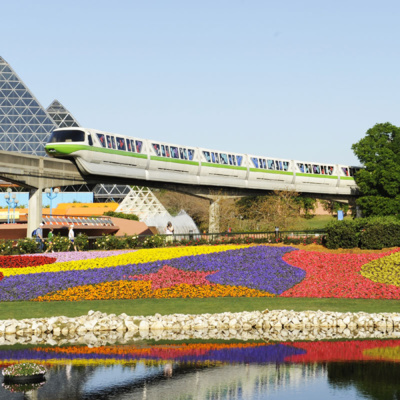 You can make it something you love - perhaps your favorite attractions(s) or areas at Walt Disney World. Cool Runnings is about the 1988 Jamaican Bobsled team, and came out in 1990. I mention gun control in passing during the podcast. It fit in thematically with the story I was telling. And, since the recent school shooting was nearby, our daily ives were (and are) impacted, its relevant to me. To be clear, I have a strong opinion, but I am not going to debate with any of you; its pointless.....instead I will let our youth take this on; they will be engaged in deciding their own future...as I said in the podcast, ignore them at your peril. 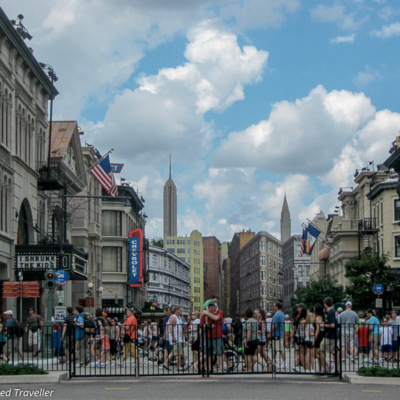 Overview: A few podcasts ago, Gary and I talked about our top ten attractions that we missed. I invited listeners to share what you missed - and I consolidated them here. 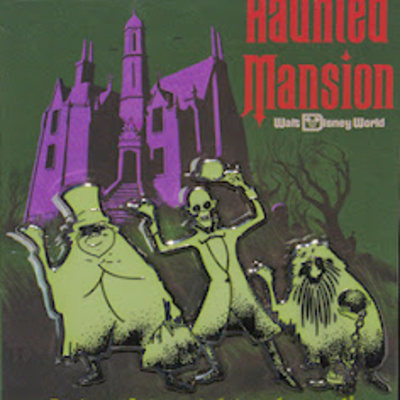 Its a sort of listener favorite missed attractions! 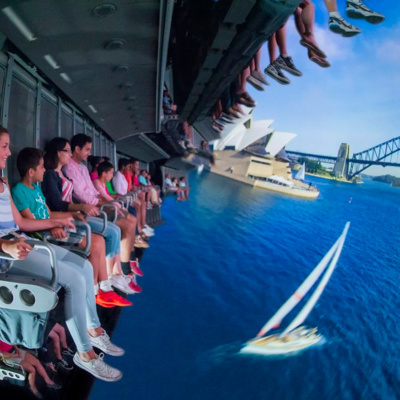 Notes: I have talked about a number of these attractions on previous podcasts. I invite you to use the search at the top to look through the archive and find ones that you'd like to hear more about. Overview: Early this month, I took a trip up to Disney with the family. The temps dipped near freezing, but we were undeterred and had a great time, visiting the parks, meeting princesses, and riding attractions. 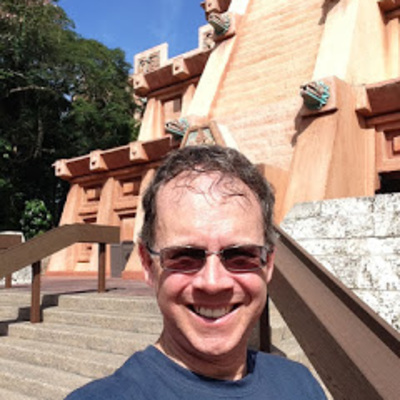 I've got stories to tell, and suggest how you can make the most of your vacation. Notes: That's the view from the monorail. Each time I go, I try and find at least one thing I've never done before - or perhaps haven't done in a long time. It seems like this list can never be exhausted - because there is so much to do, and new things are being added all the time. Plus, there are some surprises that lurk around many corners. Overview: More thoughts (and spoilers) about Episode 8: the Last Jedi. I watched a bunch of reviews, and they got me to thinking about the film. 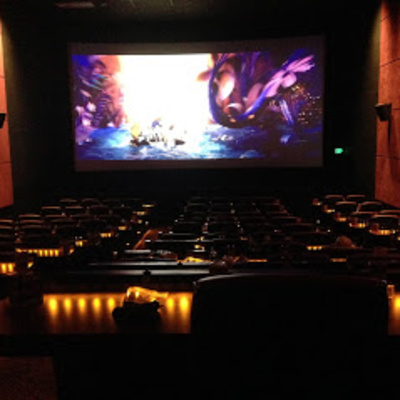 So I wanted to share that... Notes: There are a lot of varying views about the movie. Just take a a peek at youtube, and you can find good, bad an indifferent reviews. But there's no denying the popularity of the film; its already exceeded $60 billion in tickets sales. Overview: I spent a few days up at the world recently, and I'm talking about it. I did the food and wine festival, checked out progress on Star Wars land, and visited Pandora for the first time. Of course, I have requisite observations and stories to tell. 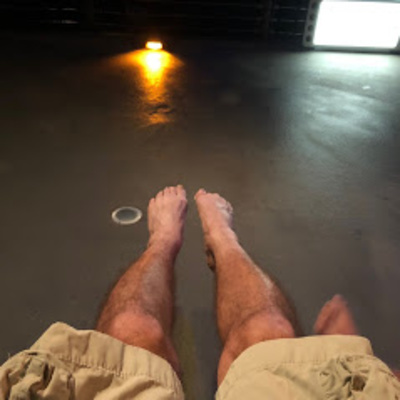 Notes: I had fun riding on Soarin' without shoes, weird as that is. 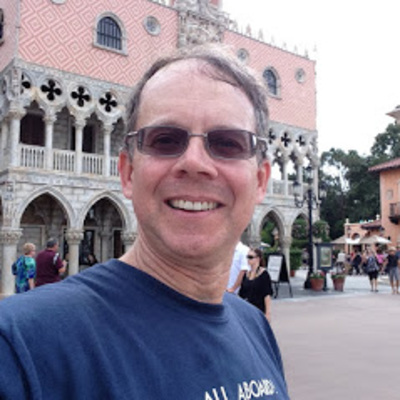 Overview: Gary Miceli joins me on today's podcast to talk about some of the shows, attractions, and experiences we miss in WDW. Now there's a bit of a generational thing happening here, as Dave has some decidedly "old school" takes. But it's a lot of fun to think back to things from the past, whether it's recent or if they are long gone... Notes: If you have some things you miss, post them below. I'd be delighted to do another show on this topic in the future! Overview: Change is in the air! At D23, we heard about a number of new attractions, new experiences, changes, and other assorted announcements about the theme parks, movies, digital content and a whole lot more. And now that I've had time to think about it, I talk about it! Notes: There were some announcements made prior to D23, and a few made after - plus there are a few rumors that won't seem to go away...so I've got those here too! At the end of the show, I tell you my big three I'm looking forward to, and three that I'm not so keen on. What are yours? Discuss below. 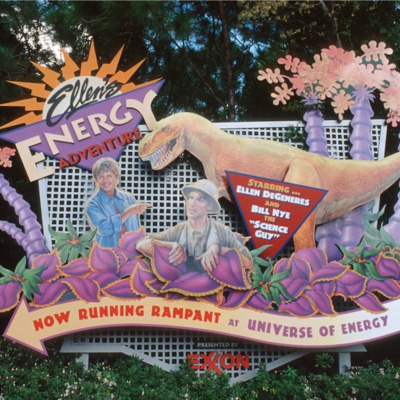 I didn't mention it in the podcast, but the one thing I will absolutely miss are the dinosaurs in the Energy attraction! Overview: In the third part of the series, I talk about how the attraction changed in the 80s, when they lost the GE sponsorship, and 90s, when they made it more like the original attraction, except for the last scene which became a look at the turn of the 21st century. But they did restore the original theme song. Notes: Jean Shepard took over as host in 1993. But the show is mostly the same today as it was back in 1964. Most of the props, set pieces, and the audio animatronics (with of course updates and maintenance) are the same ones used back then. 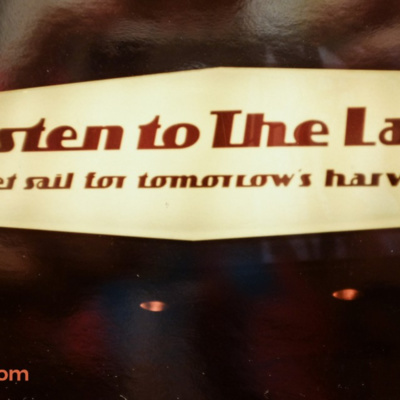 Overview: On this podcast, I talk about the carousel of progress and it's move to Florida as a part of the expansion of tomorrowland at the magic kingdom. And a new song is introduced: it's the best time of your life, which evokes the idea of carpe diem. Notes: the kitchen is the focal point in all the scenes because that's where family comes together, and perhaps more importantly, that's where you would be most likely to see many GE appliances in one place. 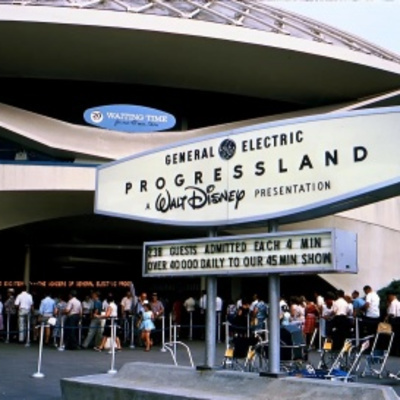 Overview: On this episode, I start a retrospective of the carousel of progress. I first take a look at the general concept, then talk about its design, music, and it's installation at the worlds fair as Progressland. 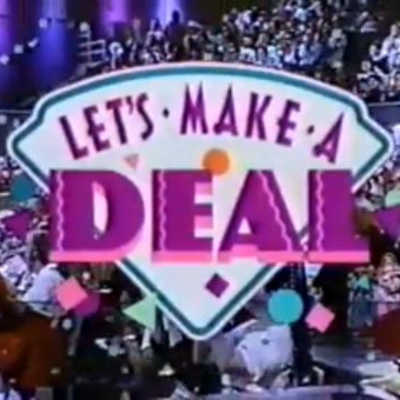 Afterward, I talk about the move to Disneyland. Notes: "There's a great big beautiful tomorrow" is said to be One of Walt Disneys favorites because it considers the possibility of tomorrow. 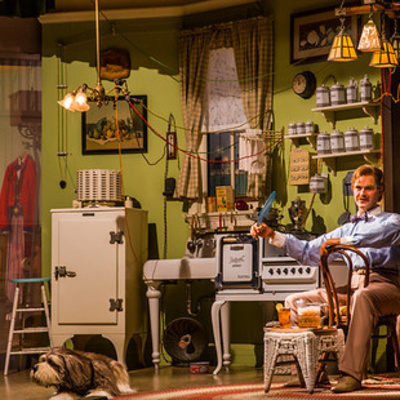 And the carousel of progress reflects a lot of good things - moments from the past, hope for the future, and family to name a few key themes. Overview: Today's podcast is a mashup of a little news, a few questions, and a movie review. 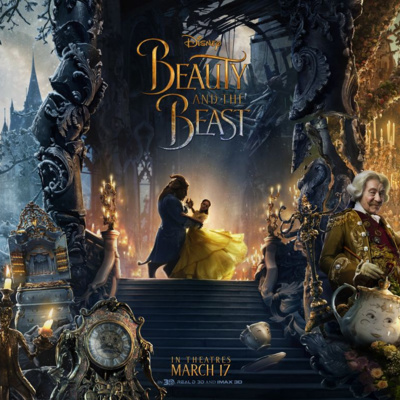 The movie is Beauty and the Beast, and I also talk about Pandora, Memory Maker, and how I got my tag line. Enjoy! Notes: The movie was quite enjoyable, If you want to know more about Horizons, check out the podcasts I did about it, starting in DDV #3 - An overview of the pavillion that was "Horizons"
Overview: Joining me on today's podcast is Scott Shindeldecker, owner of epcotmanifesto.com. We talk all about Epcot, from its history, to what we loved (and still love) about it, to what's in store for its future ... at least as far as we know. 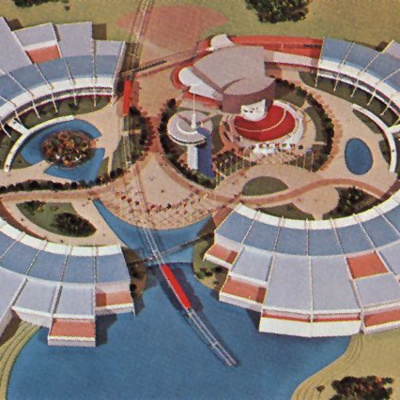 Notes: EPCOT (in all caps) was an intriguing idea from the mind of Walt himself. Whether even he could have pulled off is anyone's guess, but what the Disney company did manage to execute was a pretty good alternative. 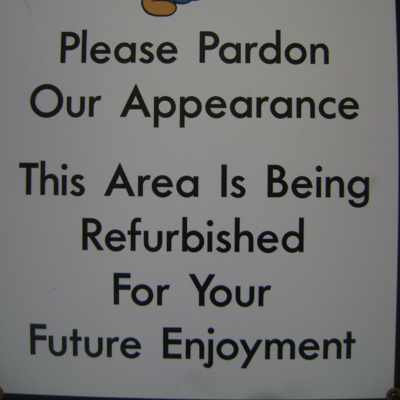 But the world has changed, and Epcot kind of stayed stagnant, so updates and changes are probably in order. 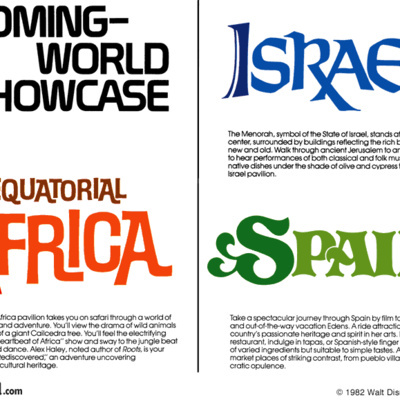 Our hope is that these changes keep the essence of what the 70s designers of Epcot had in mind. 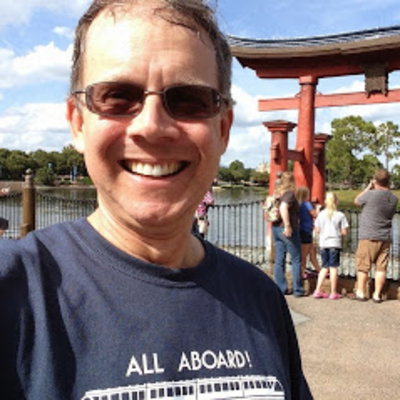 Scott's site is a blog about his perspective on the parks, and is a fun read if you are a devotee to the idea that is Epcot. It's a podcast so big it spans three regular shows in length! You won't want to miss it! 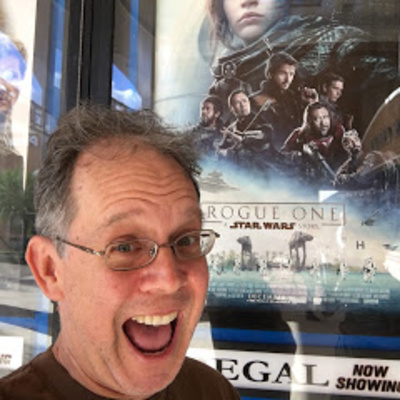 Overview: I saw Rogue One this past weekend, and I have a movie review of sorts for you! This episode does have spoilers, so I'll wait in your queue for you to watch the movie. Notes: The movie was a lot of fun, and fills in many blanks in the storyline. But (limited spoilers here) it has an unexpected tone, and does a lot of setting up the storyline - perhaps too much to get to the final payoff. 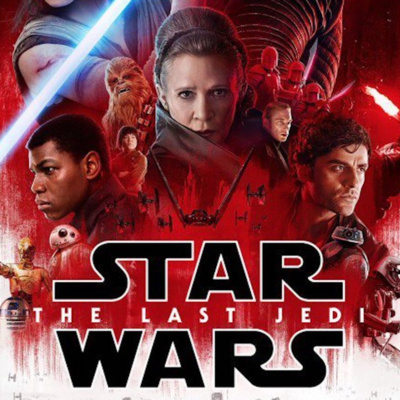 Meaning, its good scifi but not good star wars for a period of time. Overview: Today's podcast is quite simply a ride around the Magic Kingdom on the Walt Disney World Railroad. Come along and imagine you are taking the scenic ride from Main Street, to Frontierland, to Fantasyland, and back to Mainstreet! 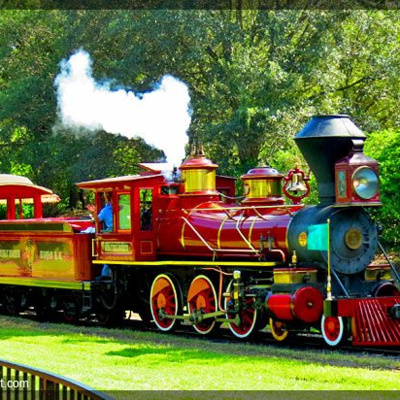 Notes: The WDW Railroad is comprised of 3 real working steam locomotive that was purchased and refurbished and run around the park. 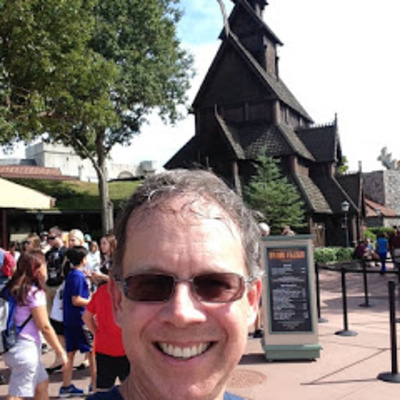 Overview: On my most recent visit, I got a chance to see the new ride in the Norway pavilion: Frozen Ever After. 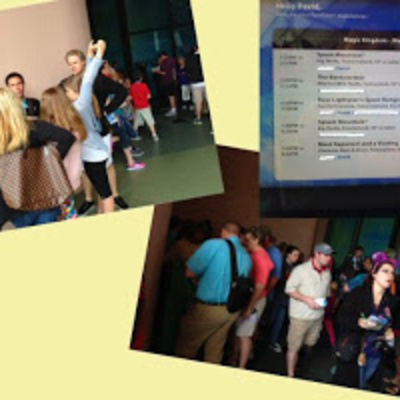 Come along and hearthe ride audio, my thoughts about the ride, and I toss out a few things about Epcot as well. Notes: I admit that I found the ride quite enjoyable. It was cute and clever and it represented Frozen really well. But, I honestly don't think the fictional world of Arendale fits into the real world of Norway. Overview: After my food and wine day, I stayed for another day and park hopped. Come along as I talk about what I did, and make some observations. Notes: Yeah, I caught the clarification that the $5 fee applies to packages coming from outside the resort. That was not clear in the original announcement. Also, I don't mention the Cabanas that are for rent at a hefty $700 in the theme parks - but I'll note it here: stupidest. idea. ever. I don't care if someone is willing to pay it. Its just dumb. 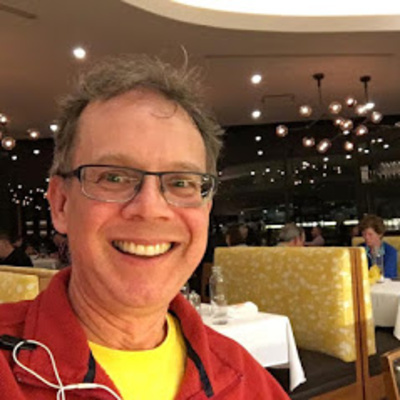 Overview: I went up to the last day of the Food and Wine Festival, so naturally, I have to tell a couple of stories about the day. 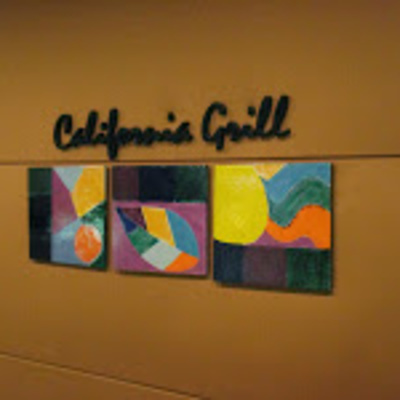 Also, to celebrate good food, I went into the California Grill to grab a bite to eat Notes: Food and Wine is always a great event, and I haven't missed it in many years. The downside is that it is quite a bit more crowded and that crowd can get a little rowdy as more wine is consumed. But there are tricks, like going early and leaving the park around dinner tine as the crowds swell. You can definitely make it suit your personal style. 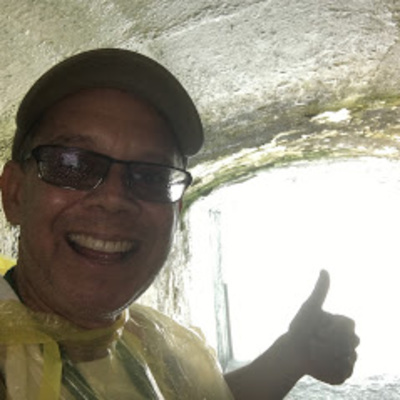 Overview: Joining me on today's podcast is friend of the show Gary Miceli. 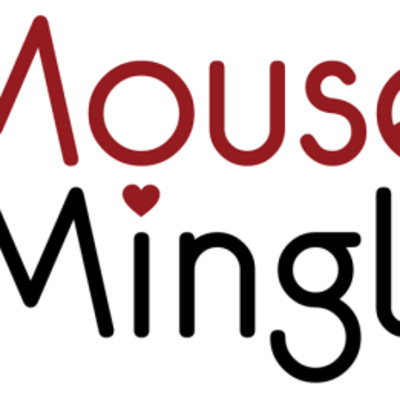 We are talking all about Disney movies, and share some of our favorites. Come and take a listen as we discuss the history of movies and how Disney continues to churn out memorable films. 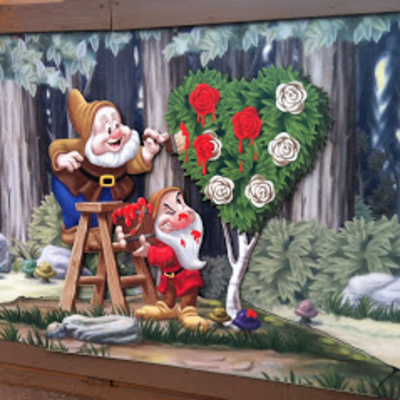 Notes: If you are lucky enough to one day be able to get a peek behind the shelving over in the shop that sits at the exit of the Mickey & Minnie meet-and-greet, you can see a remarkable mural. 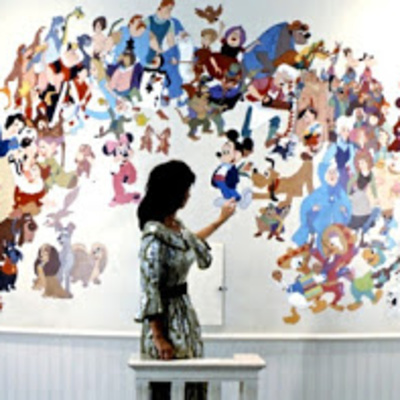 This was at the entrance to The Walt Disney Story, and included drawings of every animated character through the mid 1980s. Overview: Time to catch up on a rather large amount of Disney news. I cover general items, updates at the parks, and some interesting patents that were recently granted. Notes: There is so much going on! Disney has been quite busy. And I suspect I missed a fair number of things, that I'll get to another time. 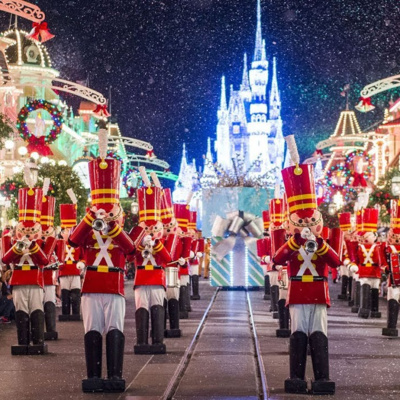 Overview: It's time to share with you my top 10 things to do in the Magic Kingdom - in order! I have to say that limiting it to just ten was nearly impossible but I give it a shot. Notes: Of course there are many more things to do, but I try and pick my favorites. And while I don't include roller coasters (because I don't do them), I do suggest where you can squeeze them in. What's your top 10? Post it below. Today's podcast celebrates a milestone - its my 250th show. I tell you a little about this podcast and how its created, some of the fun moments, and tell you which are my 25 most-listened to podcasts. Notes: I would like to thank all of you for your support through my five years of doing this. Its a labor of love, but interacting with you is the biggest thing that keeps me going. 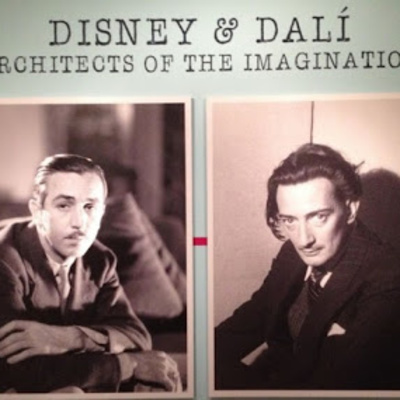 Walt Disney and Salvador Dali have an interesting connection, through some time they spent together working on a project called Destino. Its a fascinating story I wanted to share with you after learning more about it at the Dali Museum. 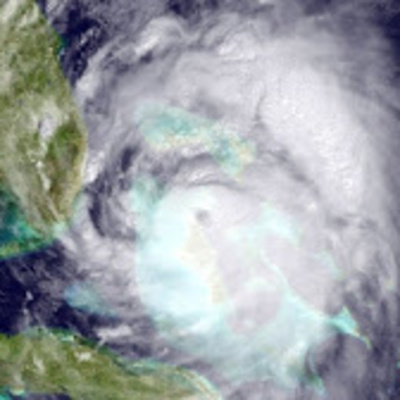 Notes:The Dali Museum is located in St Petersbug Florida. Its a really interesting place with a lot of original work by Dali. 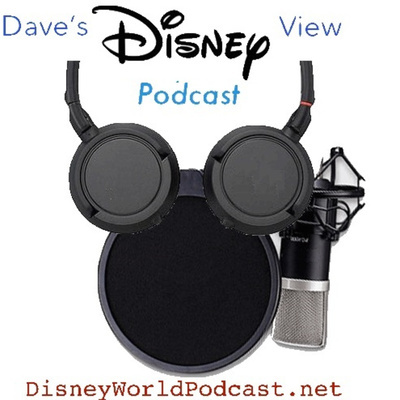 I include some audio clips from the audio tour that was available at the Walt Disney Family Museum. I use them under the Fair Use Doctrine, and my intent is to hilight the relationship between the men and provide some fundamental pieces to help explain and educate. I hope you will take some time on your next trip to central Florida to head west and visit the museum - particularly while the exhibit is ongoing. It really is quite good! 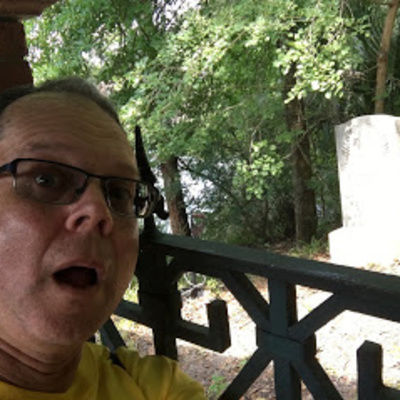 Caption: that's the tombstone that reads "Dear Departed Brother Dave, Chased a Bear into a Cave" I took a recent trip to the parks, and made sure to stop into all 4 AND take some time at the newly-unveiled Disney Springs. Come along and here my stories, and the latest updates I saw around the parks. Enjoy! 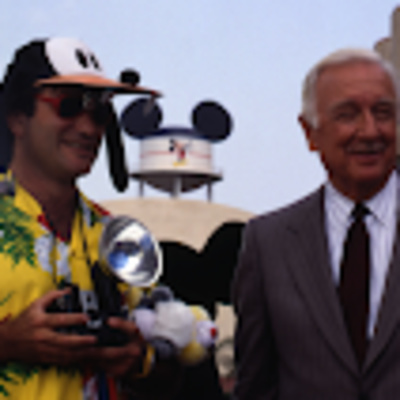 Overview: Its the 25th anniversary of DVC, and I have never really given it its due. 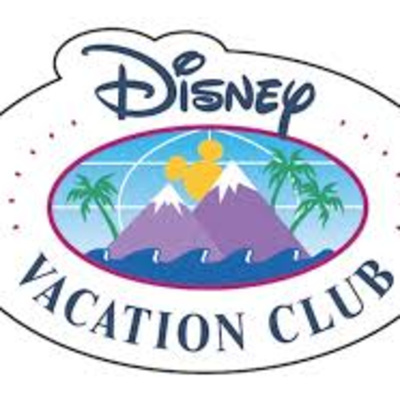 So today's episode is all about the vacation club - I give you all the information you need - so you can make an informed decision about whether to buy into it or not. Notes: I think the properties are beautiful, and they do a nice job of helping you make an emotional connection. But I am still not a fan, primarily because of the opportunity cost. Of course renting points from another owner is an option that *is* appealing and solves for that. 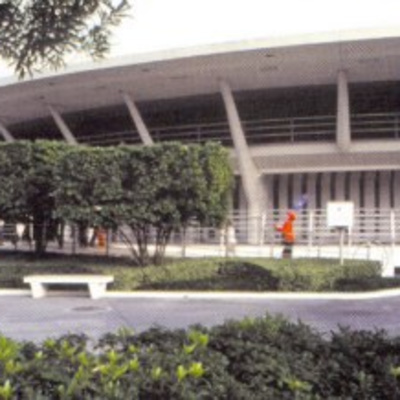 Overview: Today's show is a look at one of the 1964 Worlds Fair shows: Great Moments with Mr. Lincoln. Come and take a listen to how this show came to be, and then hear the current audio track from Disneyland. Notes: In this era of political uncertainty, I thought it would be good to remind everyone that we are all part of what makes this an amazing country. Lincoln served during the time when we were most divided as a nation, and his point of view is surely relevant today. I wanted to put a little spin on political discourse, while presenting a classic attraction. The timing just seemed right. 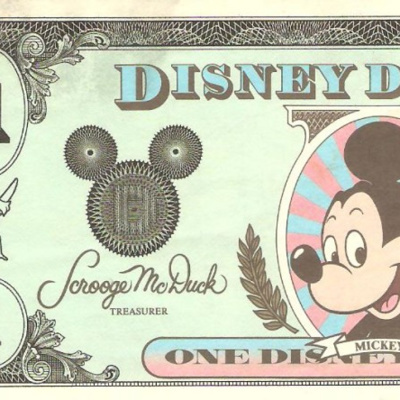 Overview: The recent changes to the pricing model - particularly for a day pass - got me to thinking about how Disney has become more about the bottom line, and more like many other corporations...so I add my two cents to the discussion. The intent is to provide a point of view, not to be negative about the changes. 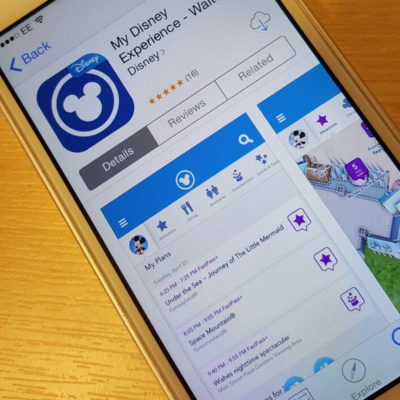 Notes: I will be curious to see how Disney rolls out the coming changes - and how we'll react as customers. Hopefully they will continue to exceed my expectations! 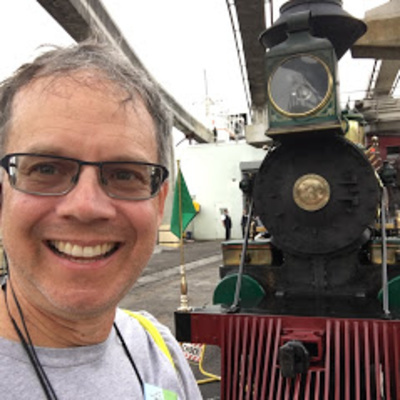 Overview: Joining me on today's podcast is Kim Pedersen, founder and president of the Monorail Society. Naturally, we're going to talk about the amazing machines that exist at DisneyLand and Disney World. We'll explore their history, and what we hope is their future! Its a fun talk about Disney, and so much more! 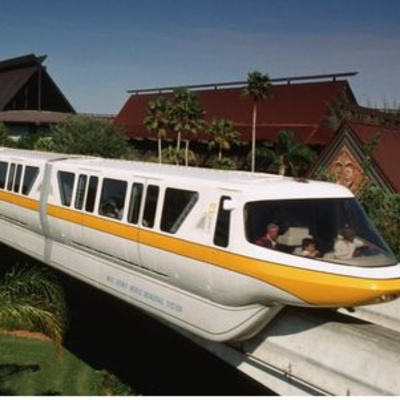 Notes: What's Disney's first monorail? Its the Peter Pan ride! Visit the Monorail Society Kim's Youtube page Monorails: Trains of the Future-Now Arriving (ISBN-13: 978-0986249488) The book is available through the following locations: The Monorail Store eBay Amazon.com Early reviews: “The author has produced something wonderful here.” JH “I can honestly say this book is well worth the price just for the pictures alone.” SE “This is a masterpiece. 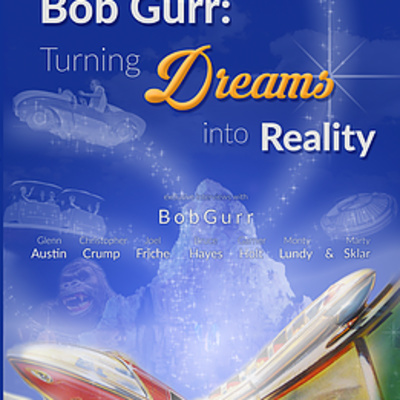 Every technical university should have one.” JK “This is a book to own for any monorail or transportation enthusiast. 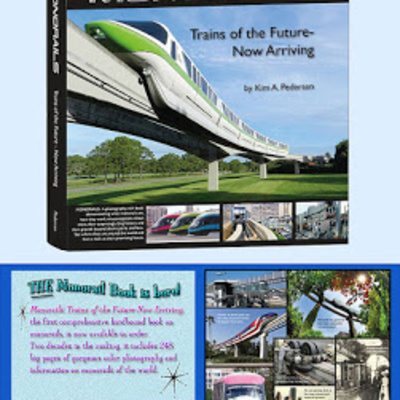 : TS Since publication in December the large 248-page hardbound book is already being used by monorailists and manufacturers to promote monorail for transit. Monorails: Trains of the Future-Now Arriving is the definitive book on the topic and after only two months on the market, the color photo-rich book in the libraries of many railfans. If you don’t have the book on your coffee table yet, it’s time to order it before it sells out! Information at the TMS Book page: http://www.monorails.org/tMspages/book.html And the PRWeb press release: goo.gl/IfmDzh Thanks for your time and support. 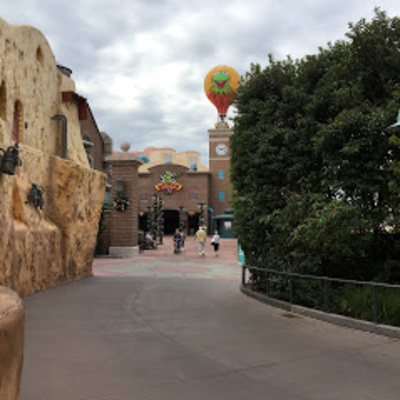 Overview: Today, I explore some of the changes that are coming to DisneyWorld (and DisneyLand) from security enhancements to Star Wars Land, I have you covered - with my personal style! Notes: on April 2 2016, the following are slated to close at Hollywood Studios: Lights, Camera, Motorcars Honey I Shrunk the Kids Movie Set Adventure playground Monsters Inc. character meet and greet Writer's Stop Watto's Grotto Studio Catering Co. Prop Shop The 130ft Earfell Tower, which served as the parks original icon, will be removed as part of the work on the back of the park. 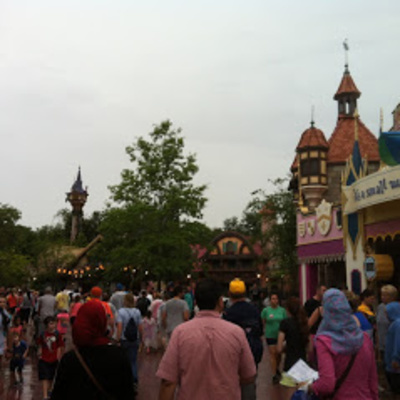 Streets of America So far, Muppet Vision 3-D and the Indiana Jones Epic Stunt show are not impacted. Overview: I saw the movie again, and had some additional thoughts about it that I want to share. I have a few observations, and some of my own theories that I hope you'll enjoy hearing. **This podcast is spoiler heavy! *** Notes:Consider this podcast as a bonus! I had no real intention of revising the movie, but I was amazed at the detail and wanted to share. One note: the box that contains the light saber is reported to be the same one that Obi Wan opened in Episode 4. 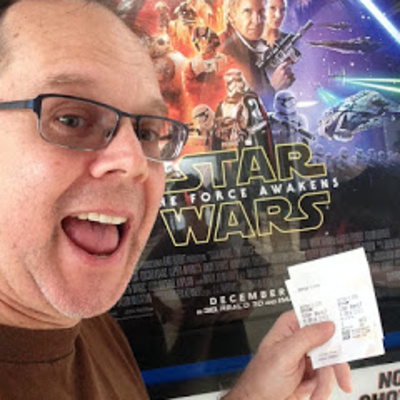 Overview: I went to see the new film, and I wanted to take time to review it, and talk a little Star Wars. 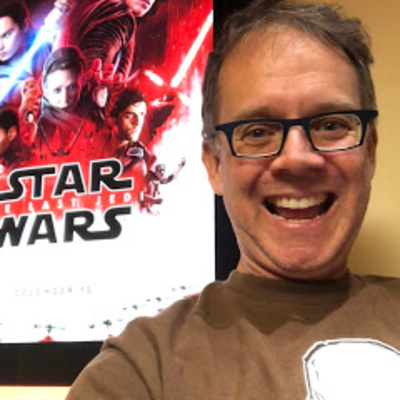 There are spoilers in this podcast, but they appear in the second half - and I call out when they're going to start...before that, I talk about the first 6 films, and Star Wars in general. Notes: Here's a nugget for you that I didn't mention in the podcast: after "the first" episode (i.e., IV) was filmed, Harrison Ford thought the film was not to his liking, and asked not to appear in subsequent films. After some discussion with Lucas, they agreed to kill him off in Episode V....but he had a change of heart during some of the early reads, and decided to stick it out for the 3 episodes, and was delighted to come back for Episode VII. Also - BONUS! I put a podcast out early for you to enjoy..
Overview: There's a lot of news about Star Wars land in the Hollywood studios, and some other related items. I cover it all and give my thoughts about what's happening. Plus, I've got some stories I've read about, talk about the taping of the Christmas day parade, and a few miscellaneous updates. Notes: The singer is Rhett Wheeler. As it turns out, he isn't an amateur, and this may have been partially intentional on Disney's part. Still, he says this was a “dream come true”...According to his website, Wheeler holds a Bachelor of The Arts degree from the New School University in New York City. He’s traveled the world and keeps on performing in hopes of catching his big break that could send him onto super-stardom. Good luck Rhett! Want to know about the history of the Osborne lights? Check out a previous podcast of mine where I discuss it. 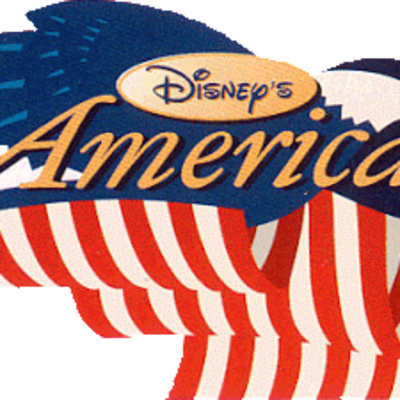 Overview: I sat down and watched all 4 hours of the American Experience: Walt Disney, and I provide something that is part review, and part my thoughts about what I saw and heard. I find the man to be complicated and pretty interesting. As I note in the podcast, he was larger than life and that really shines through the production. But he also was very family oriented and considered people who worked for him as such - making his life as the head of a company bearing his name....complicated. Notes: You can watch a preview, order a DVD, or learn more about the show by visiting the PBS website. And if you want to read more, Slate did a nice piece about the show. Overview: Today's podcast is my look at the ticket price increases. Come in and take a listen to what I have to say on the topic. Plus, I've got a couple of corrections from previous shows. 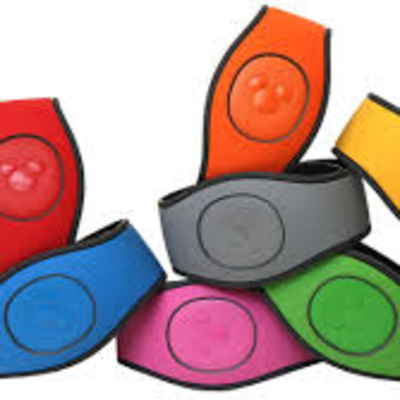 And I've got an interesting take on the Magic Band that might be of interest. 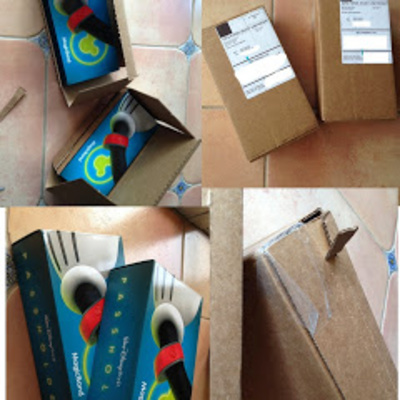 Notes: Here's A blog where they break down what's inside the Magic Band. Fortune Magazine wrote an interesting article about the price increases. 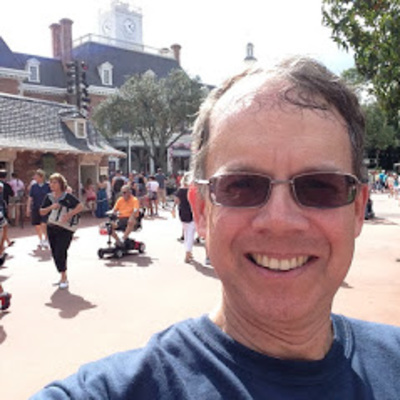 Overview: Joining me on today's podcast is Carl Trent, the author of Dad's Guide to WDW, and publisher of WDW Magazine. 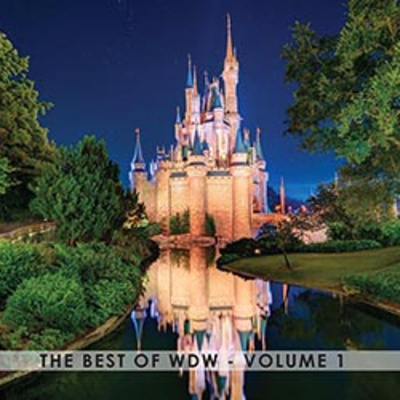 We talk about his new coffee table book The Best of WDW (Volume 1), and chat about lots of things related to Disney World. It's a beautiful book that you should take a peek at. 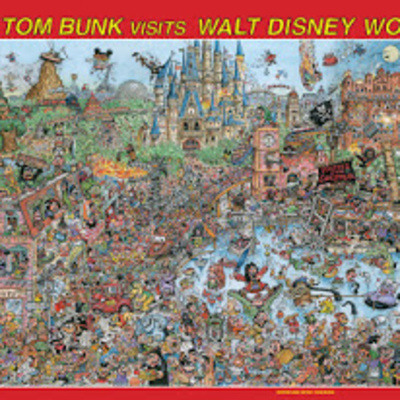 Notes: You can subscribe to the magazine here: WDW Magazine website His book, The Best of WDW is available through his website. 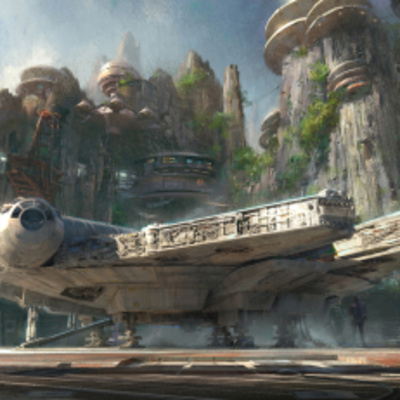 Overview: A lot is going on at Disneyworld, particularly with Star Wars land slated to break ground in 2016. Mayne changes will be taking place at the Studios as construction begins. But I cover more ground than that on this podcast. There are a couple of unusual stories, and a couple of other items worth noting. Notes: You can find thePodcast about the Osborne lights in Show #78. 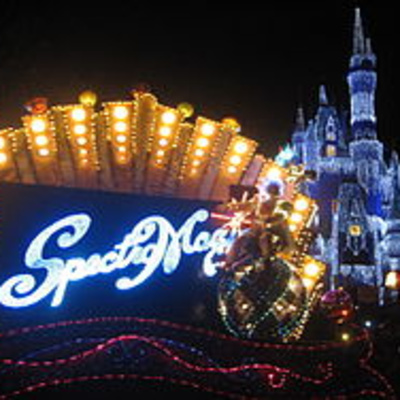 Its a Holiday themed episode from a few years ago where I talk about the history of the lights. 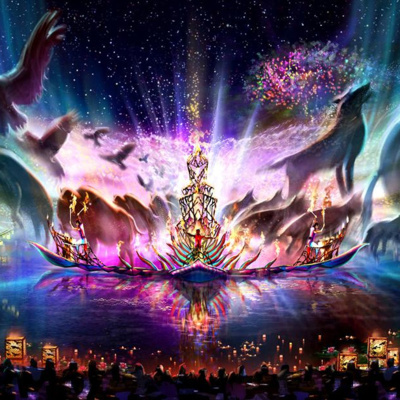 Overview: Last week at D23, Disney announced a plethora of new things come to the parks. I pick some of them to talk about and give some details and my thoughts about what's coming. Especially intriguing is the 11 acres that will be Toy Story Land, and the 14 acres that will be Star Wars Land at Disney's Hollywood Studios, which for now retains that name. 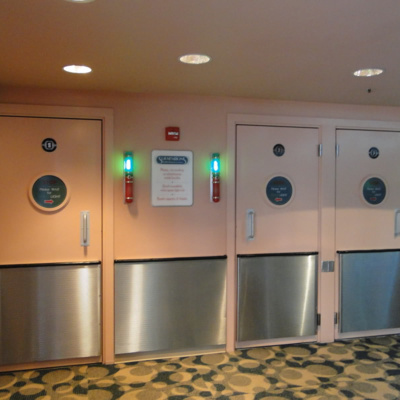 Notes: I am amazed at just how much Disney is investing in these upgrades and enhancements. 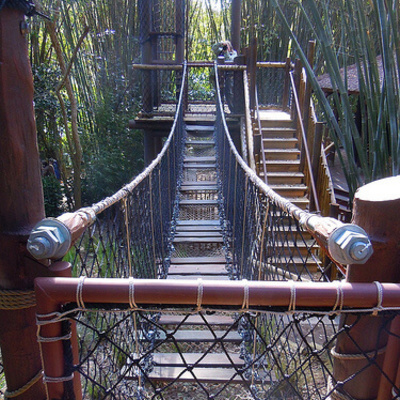 Its a large sum, but could really make the parks amazing . On the map at the top, I have oriented it so the entrance is on the top left; Fantasmic will be all the way at the left. 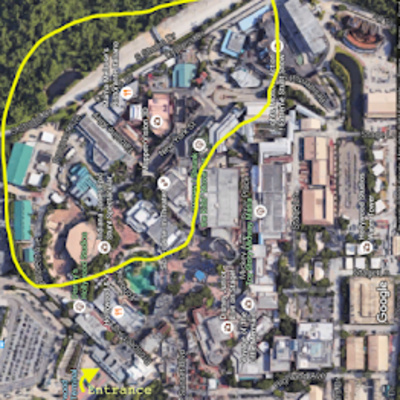 The area outlined at the top is where I think Star Wars Land will net out, and at the bottom is how I think they'll orient Toy Story Land. 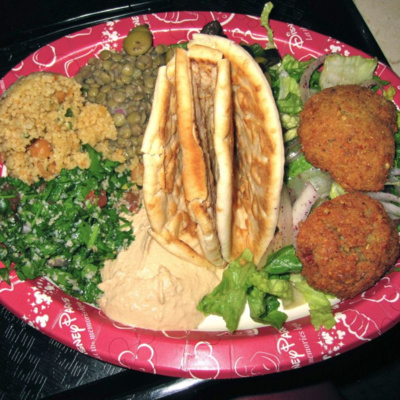 Overview: Epcot has a plethora of restaurants. So many that its often hard to decide where to eat, let alone what's best. But don't worry, I have you covered. Here are my top 20 restaurants - in order! Sure the list is somewhat subjective, but I give you a sense of what its like and what there is to eat at that location. Hopefully, it will inspire you to try new places and create your own list! Notes: What's your list? Did I miss something you really like? Let me know! 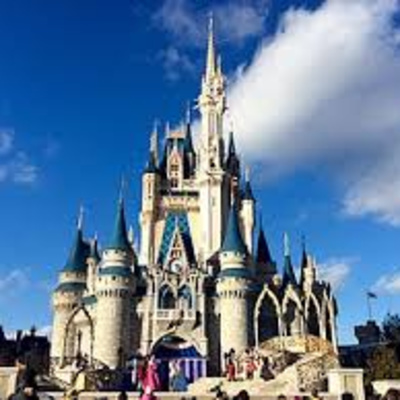 Overview:We've been hearing that Disney is planning to spend around $3 billion on its US theme parks, with much of it going to Disney World. Today, I do a little imaginating, and think about what that might mean. Its time to dream and consider the possibilities. That. Is. A lot. of Money. Notes:Who knows what Disney will actually do? But I think some major changes at Hollywood Studios are likely, and perhaps some money will be spent over at Epcot to make some long-considered World Showcase pavilions a reality. 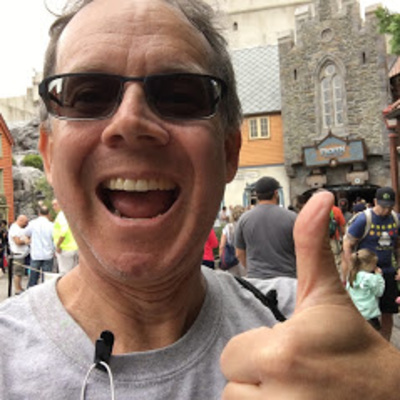 Overview: I'm calling this segment Ask Dave as I take some time to answer questions that you have about a variety of Disney topics (my motto: I talk about all things Disney, but mostly Disney world). On this episode, I talk about riding up front on the monorail, how Disney transportation works, what are some of my favorite places to eat, what to do with used Magic Bands, trip planning advice, and a whole lot more! Notes: Picking 3 places to eat is hard! There are many good dining choices, and the menus are getting better. Planning a trip? I would suggest contacting Shannon for a quote. 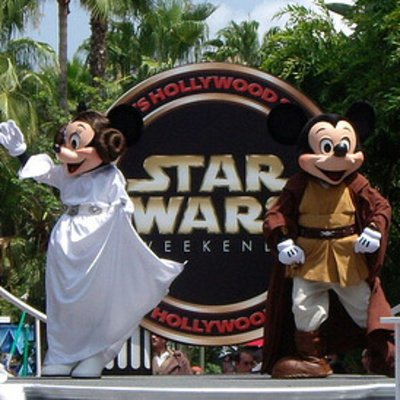 Overview: I made it up to the 4th of the Star Wars Weekends, and had a great time. I recount my experience and tell a few stories about my day. 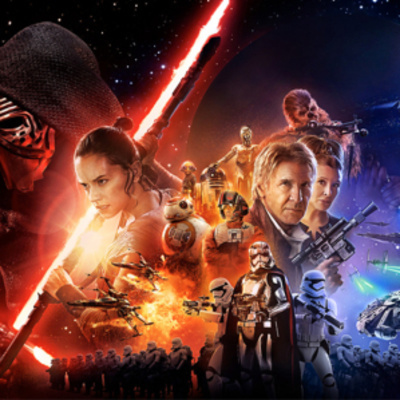 Come in and take a listen to a virtual Star Wars Weekend experience. Notes:The person whose name I couldn't think of was James Arnold Taylor, voice of Obi Wan in the Clone Wars animated TV show. I noted that typically the guests aren't *that* interesting, but I will make an exception for the last weekend (this coming one) as Frank Oz is one of the celebrity guests. Oz, of course, worked with Jim Henson on the muppets, and has a more interesting story. Unfortunately, my schedule didn't work for coming up for weekend #5. Overview: This podcast is a tribute to the Japan pavilion. 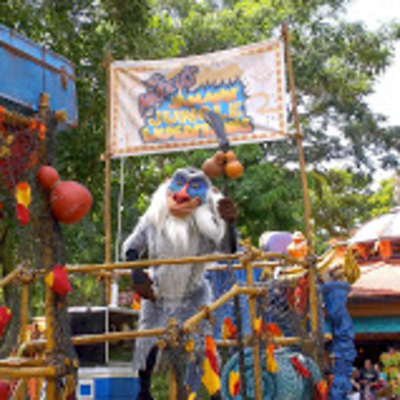 I take a thorough look at the design, layout, theming, and of course the gardens. Then, I spend some time talking about shopping and dining. 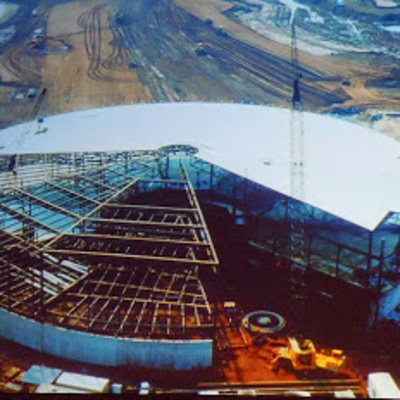 And finally I discuss a planned attraction that was mostly built, but never opened. 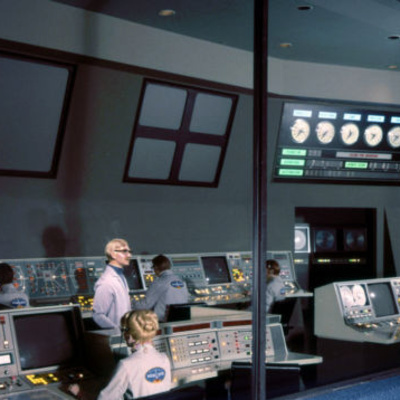 Come take a listen to the tale about this fascinating opening-day Epcot pavilion. 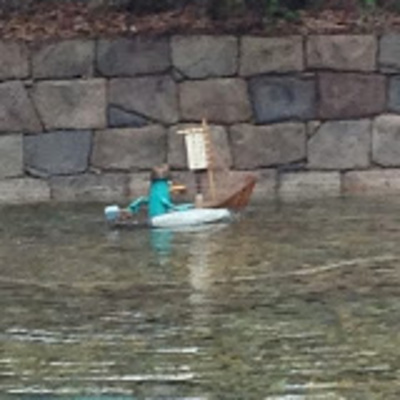 Notes:Japan might very well be the most interesting among the World Showcase pavilions. From dining to shopping, to the zen of it all, Japan has it pretty well covered. 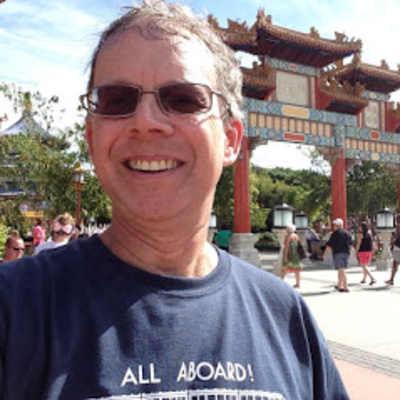 A reminder that the general overview of Epcot's World Showcase is in podcast #208. 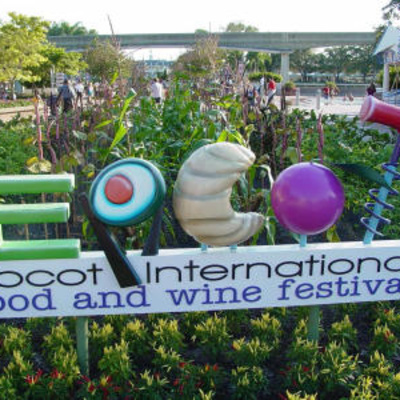 Overview: Today, I explore the history of EPCOT in general, and the rationale for the World Showcase portion of the park. 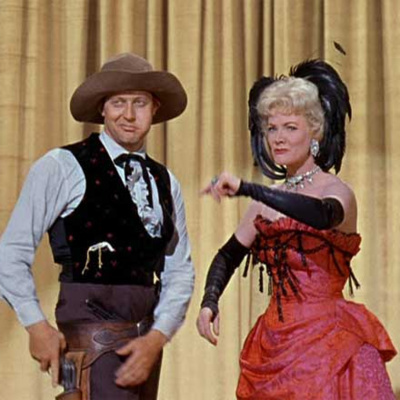 Walt Disney had something specific in mind, and we didn't get that, but we did get an entertaining place that has a richness to it. Here's to a little history! 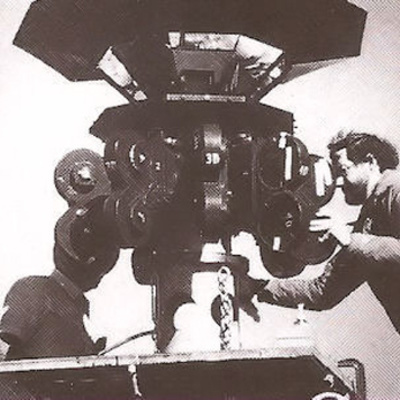 Notes:Its difficult to imagine what Walt's vision was, precisely, so we mainly have to guess at it. The view of Progress City that you can see from the PeopleMover is about 1/3 of the full model. The whole thing took up about 1,500 square feet - that's close the size of a smaller home! 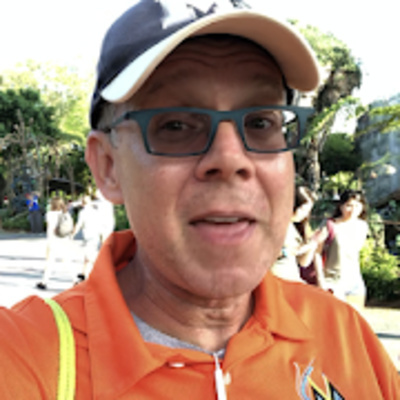 Overview: Friend of the Show Gary Miceli is back, and today we're talking about fun experiences at Disney. We all have special memories of our trips to the park, we share ours and what makes them memorable! 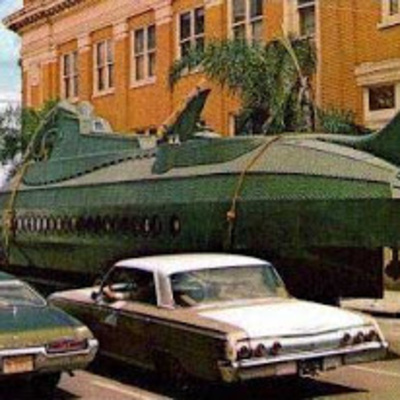 Notes: I think the changes coming to the studios will mean a lot of history will be lost....oh well, that's progress! The Youtube video will give you a sense of the behind the scenes look you once got from the Backlot Tour. And the picture is of Inspector Gadget's car. 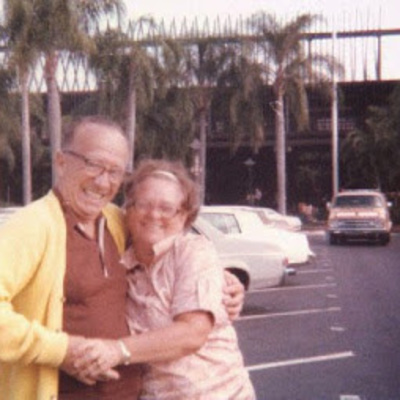 Episode #204 - a tribute to my grandparents; their love of Disney inspired me. Overview: My grandparents had a tremendous influence on me - and are a large part of the reason that I love Disney. Come in and hear the story about them, and how they shaped me. Its a personal story that serves as a tribute to them. Notes: The top picture is in front of the Polynesian; their personalities shine through in the pic - that's really who they were. The other picture of them is at the Golf Resort pool (now Shades of Green). And of course there I am with them at a Mickey's Christmas Party in 1983. Overview: I present to you my top 10 Quick Service Meals. I tell you what dish I like, and where you can get it. Of course, I sprinkle in a few helpful tips, and make some suggestions on how to get there and where you might eat the food. 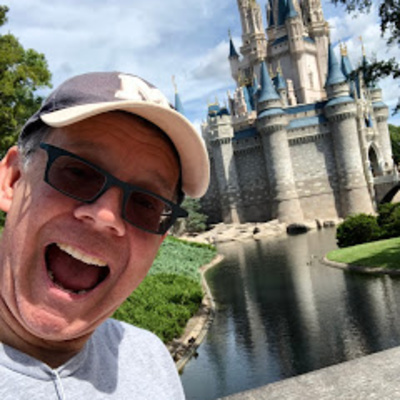 Notes: There is no place I love in the Magic Kingdom. 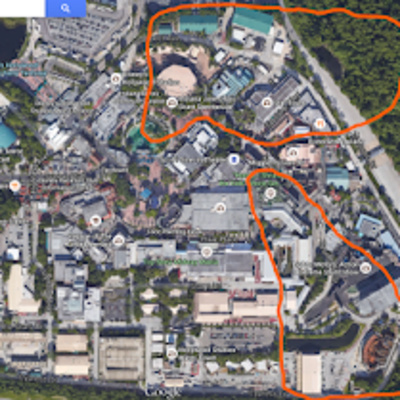 But, there are spots in both the Polynesian and Contemporary that are nearby. 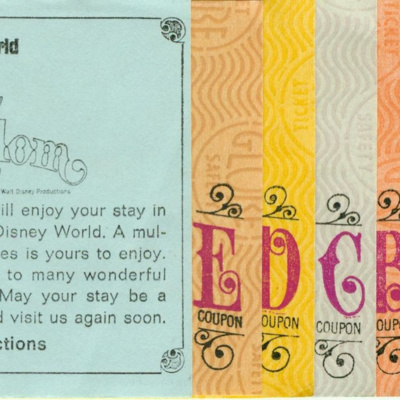 I have favorites in each of the other theme parks, and 4 other resorts. I have a breakfast, two vegetarian dishes, three that come from the sea, some chicken, pork, and lamb. 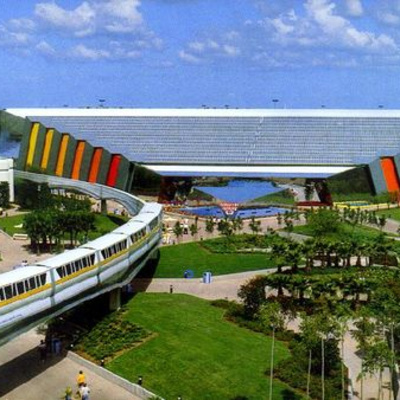 Overview: Today's podcast is another look at the monorail. 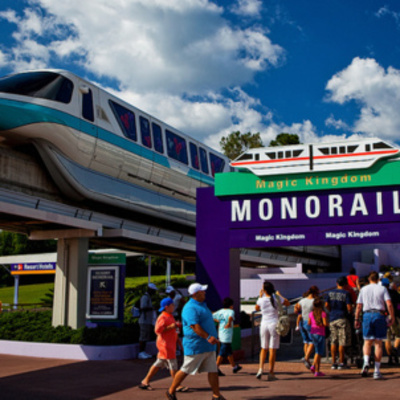 Disney is testing some changes to the monorail, so I wonder what's up with that? 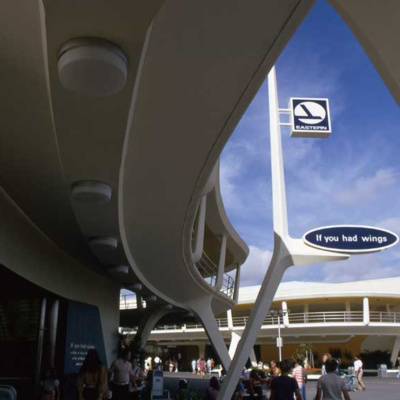 I look back at the history of the monorail, and suggest what this means as it relates to wait times. 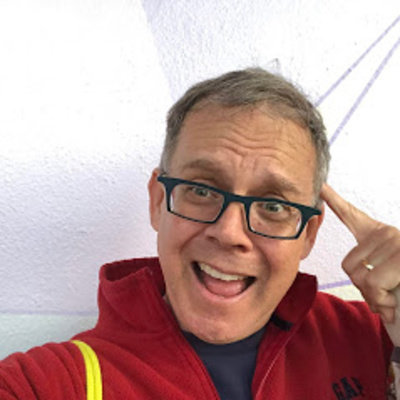 And, at the end of the podcast, I have some thoughts about Measles at DisneyLand. Notes: I wanted to point out that no the vaccination part of the podcast, it is not my intention to wade into the minefield that has sprung up around this topic. Rather, I am thinking about the greater good and the science of it. 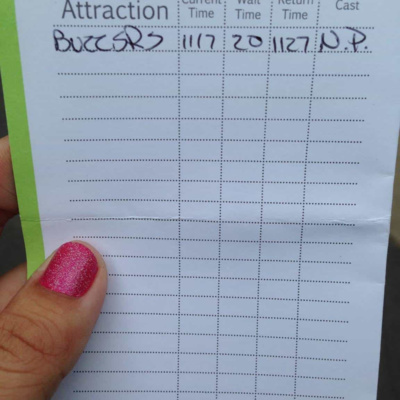 Overview: I took a trip to Walt Disney World and used FastPass+, and met up with a friend who used the Disability Assistance Pass. I talk about both, as well as Memory Maker. Plus, because I took a trip to the resort, I have some stories to tell. Notes: My hat is off to parents of kids with special needs. I know what its like to have kids. I now have a (small) taste of what its like to have one who has special needs. I realize its a labor of love in its own way, but I can see its not always easy. Overview: Mainly, the questions I have been getting lately revolve around a single theme: tell me more about the Magic Bands and Fast Pass. So, I decided to cover it all in a super-sized podcast! I cover some of the history, what it is and does, how it works, and give a few tips on how to get the most out of it. I hope you enjoy! 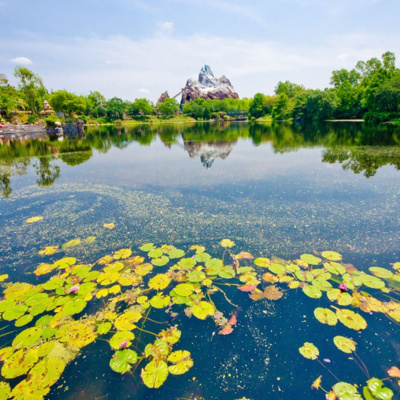 Notes: Visit Tourplans for tips and advice on visiting the parks. 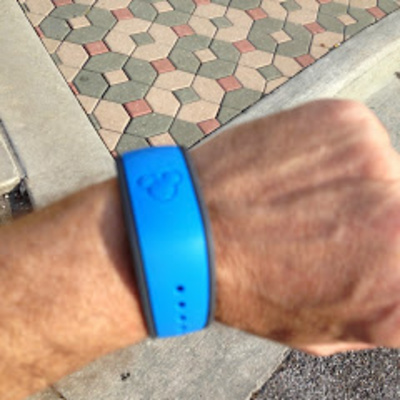 I neglected to mention that the Magic Bands can also be used to link your Photopass photos. Overview: Its a podcast so big that it spans two episodes! Today, I am in the Magic Kingdom trying out my MagicBand, FastPass+, and checking out some of the changes that have taken (or are taking!) place. 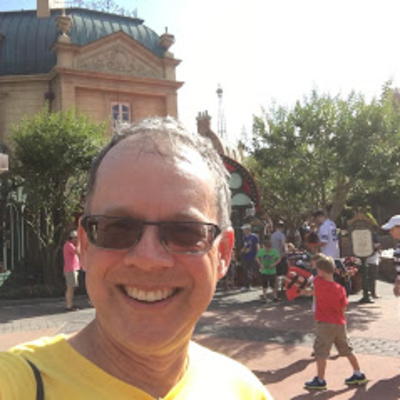 Come and take a listen as I spend my day wandering around and telling stories... Notes: I didn't like the feeling of the MagicBand on my arm, but overall, the system was working well enough. I found the experience enjoyable overall. The two pieces of music you hear are from the MainStreet Marching Band and Jim - the long-time pianist outside of Casey's Corner. 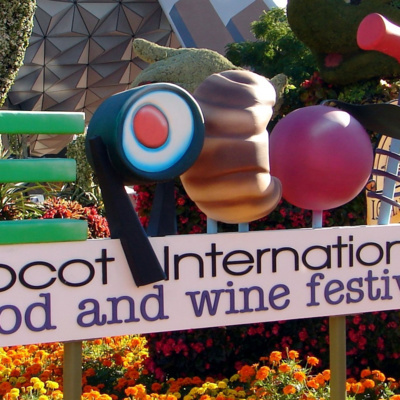 Overview: Near the end of the Food & wine Festival, I finally found a day to enjoy the event. I brought my recorder, and tell you all about my experience! I've got some thoughts about the dishes I tried, the app I created, and some of the fun things to see and do. 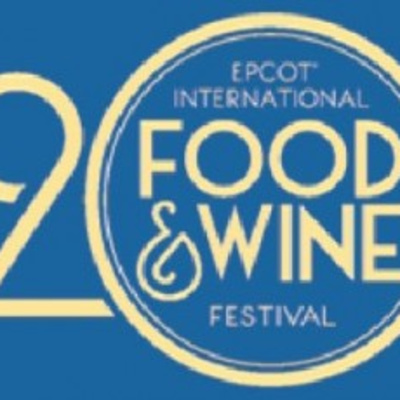 Come in and take a listen to my day enjoying Epcot's Food & Wine Festival! Notes: I am looking for feedback on the app, if anyone happened to use it. Feel free to send me an email if you think of anything. I know, for example, that having a way to plan things to try would be helpful. The guitarist heard in the podcast is Gerardo Manrique. 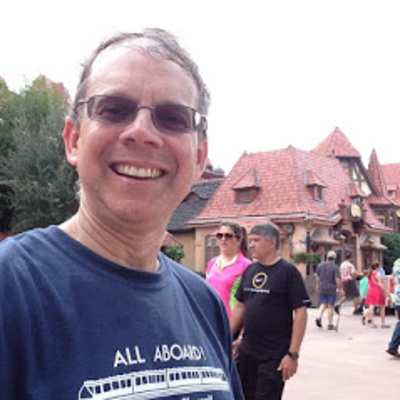 Overview: I took a trip to the Pacific Northwest over the summer, and I found some interesting things that tie back to Disney in some small ways. 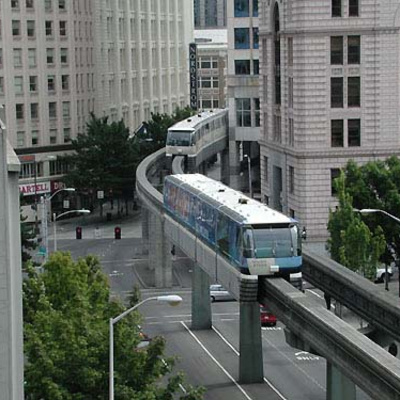 I also rode the monorail in Seattle, and its a cool trip down memory lane...so I spend some time talking about how it relates to Disney history. Notes: The story of Puddles can be found in Episode #14 ... visit NPS.gov to learn about National Parks. 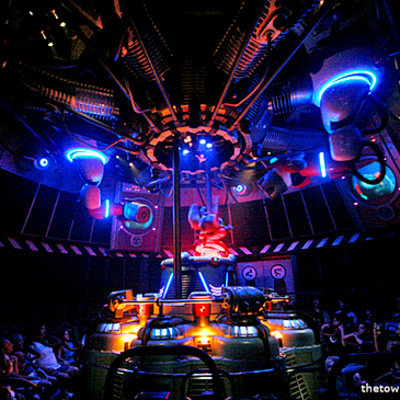 Overview: Mayhem may not be quite the right word, but I do talk about Fastpass+ in general and how it works. 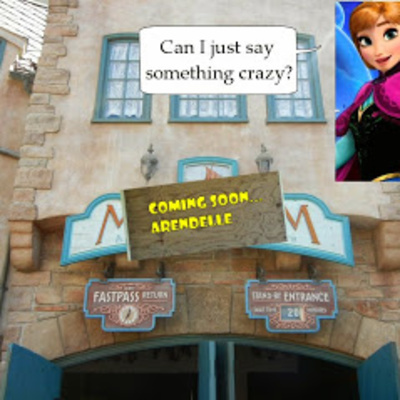 And then I move on to some things that are happening around FastPass+. New "limited tests" with Toy Story Midway Mania, and with the Be Our Guest Restaurant. What does it all mean? 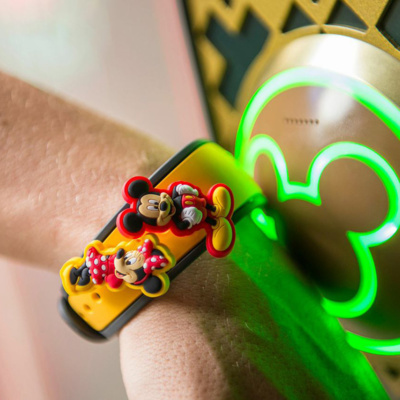 And I talk about ApplePay and its connection to the MagicBands. Notes: Much of this is speculative, but based on some facts, and I don't claim to have any amazing inside scoop. Its my best guess. Overview: This podcast has some followup thoughts and comments about the ExtraTERRORestrial Alien Encounter, from some of its original concepts, to one part of the show that left...and then I talk about its closure. 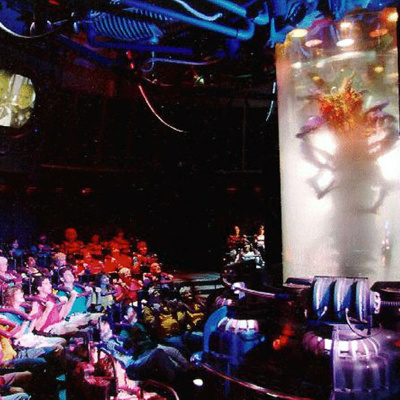 Afterward, I talk about the show that replaced it, which is a truly terrible attraction - Stitch's Great Escape. Notes: The movie review is from Jeremy Jahns (http://www.jeremyjahns.com/). I am amazed at how much history there is in this attraction. 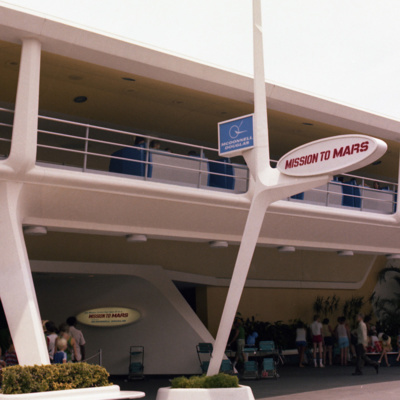 Overview: This podcast takes a look at what came after Mission to Mars closed in the Magic Kingdom. In short, it was a creative thrill ride that didn't provide physical thrills, but rather psychological ones. Seize the future with XS! 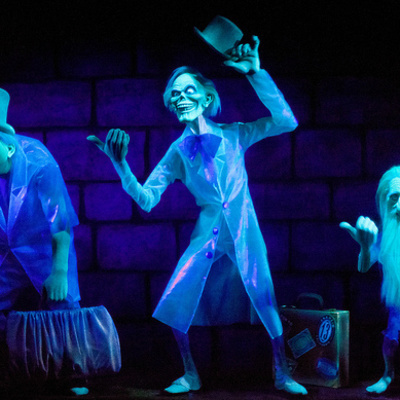 Notes: Michael Eisner asked for it to be more terrifying along the way. 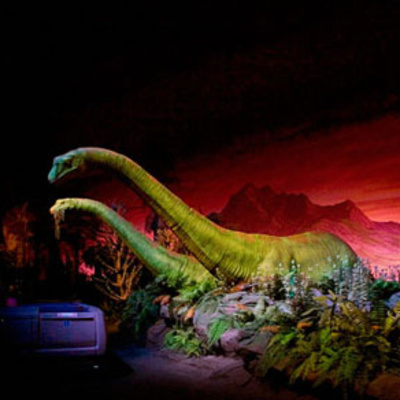 And the Imagineers had to work with the existing building, and most of the set designs in order to keep costs down. 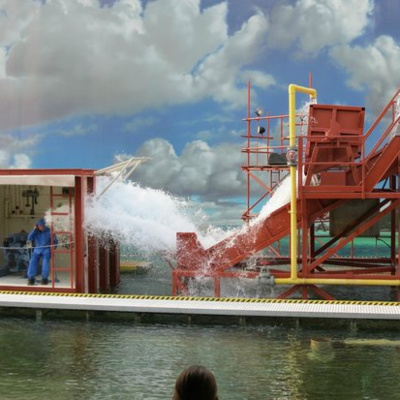 Arguably, this is one of the most non-Disney attractions ever put in to the Magic Kingdom. Its a dose of Disney news. 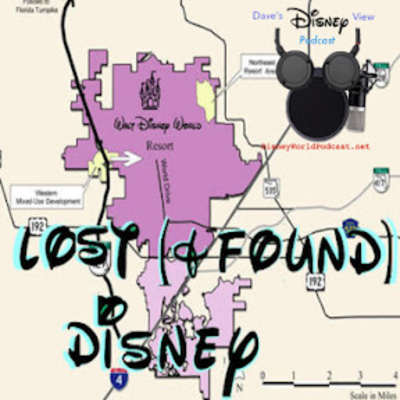 DeadMau5 takes on Disney. An update on the legal action with the old Guest Assistance Card. Information about Disney Springs. Frozen. Frozen. And more Frozen. And a few other updates from around the Parks. Enjoy! We heard the sad news that Robin Williams has died of an apparent suicide. Robin had a long history with Disney, so I thought I would pay tribute by counting down the top 5 appearances in movies and the theme park. This podcast is over the usual time, but it seemed worthwhile given his wit - and contributions. Back on March 31st, after 12 years running, Mickey's Jammin' Jungle Parade had its last run. Here's a look back at the parade...I decided to put this podcast out now simply because the World Cup is going on now, and there's a connection to the host country Brazil. One thing I wanted to point out is that I mention in the podcast that the music in the parade is a combination of African and Caribbean music. That's true, but doesn't tell the full story. Brazil happens to have a strong African influence, so selecting Mas Que Nada as part of the music in the Jammin' Jungle parade makes a lot of sense, and fits in with the theme of the parade. 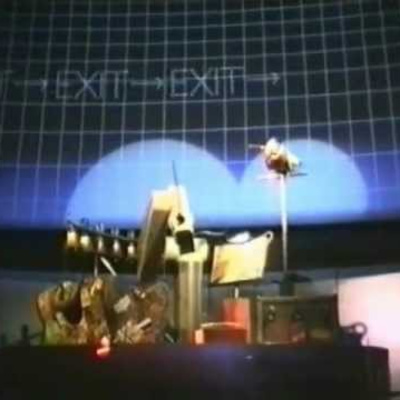 This episode is a look at the Transcenter, which was the exit area of the World of Motion. There were some cool, interactive (and fun) exhibits, and I talk about them and play some audio for you. Enjoy! 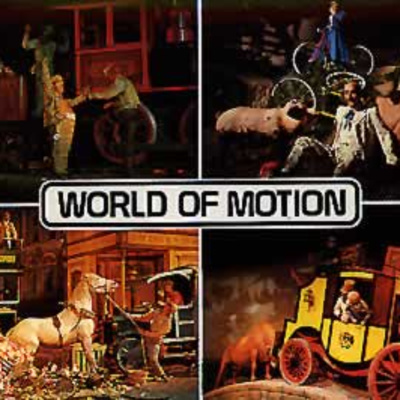 The World of Motion was a somewhat whimsical look at the history of transportation, Come and take a listen to the ride through, and hear how its Fun To Be Free! I would like to thank Mike at Widen Your World for some of the information I present in the podcast. 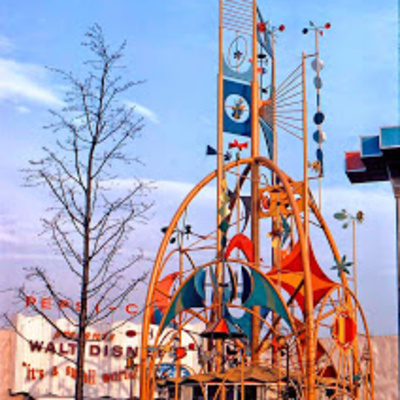 Today's podcast is a tribute to an attraction that first appeared in 1964, at the NY World's fair, and now holds the distinction of appearing at every Disney park around the world. 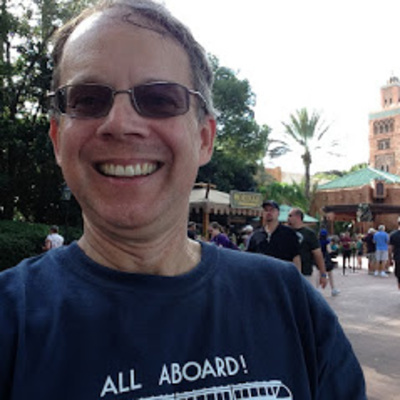 Of course, I'm talking about the Happiest Cruise on Earth - It's a Small World, after all. Come in and take a listen as I talk about its history. 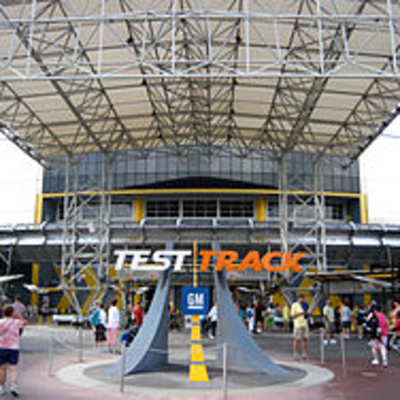 I took a trip last week up to WDW, and got to experience FastPass+ first-hand. We were staying off-property, so I had to book my choices at a kiosk on the "day of"... What did I think? Overall, I didn't like it - but the cast members really did make the difference in creating an "okay" experience (as opposed to a negative one). And to be fair, it was still an enjoyable trip, and we did get to do nearly everything we wanted to - I just thought it did nothing to enhance my visit...and frankly it was kind of a pain to work with. Joining me on this podcast is the editor of Celebrations Magazine, Tim Foster. We talk about the magazine, some favorite Disney things to do and see, and give a few tips from around the world. And for the first time, I am running a contest! In conjunction with the magazine, we are giving away a free one-year subscription to the magazine. Care to enter? Check out http://disneypodcast.net/giveaway for details, and for how to enter. Good luck! 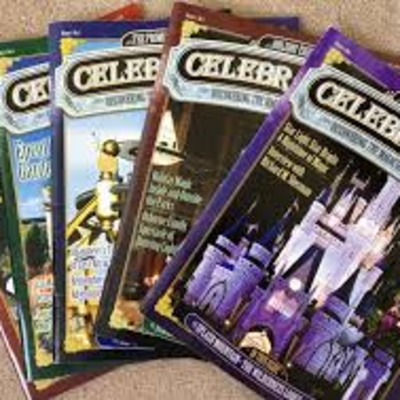 Visit Celebrations Press to get some great Disney World information, and subscribe to the magazine. 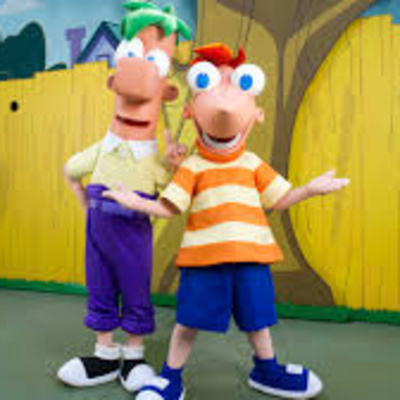 On today's show, I welcome Nick who is a fellow Disney lover, and a local like me. We chat about Disney World, some of our favorite things to do - parks, attractions, restaurants, and more. Plus we simply talk about our shared love of things in the World. Have thoughts you'd like to share? Post below. 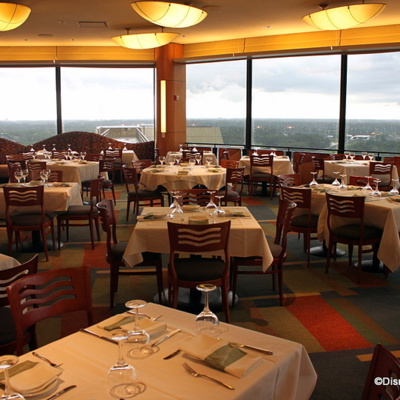 Today's podcast is a look at where to stay when you are at Walt Disney World. I talk about the categories of hotels, the amenities, and which hotels fall into these categories. 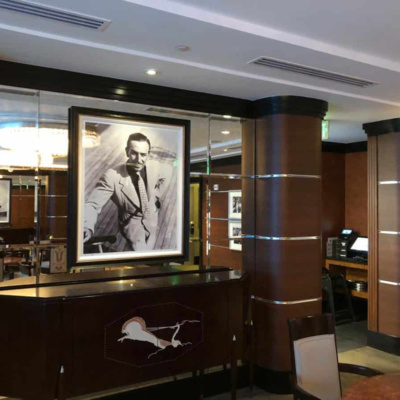 And I talk about some of the things that you might look for in each type of hotel. To me, the Art of Animation is probably has the best overall combination of amenities and price point, and is attractive for that reason. 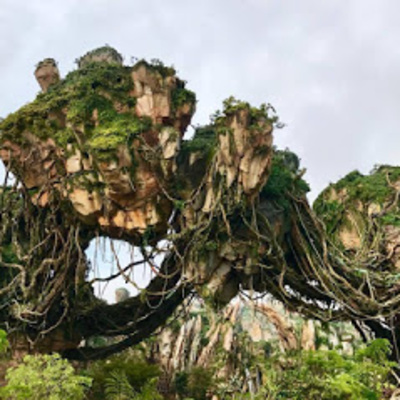 While this podcast lays out the basics, I do recommend visiting an authorized Disney travel agent to find the one that best suits your needs, and to price your vacation. One resource that I recommend is to contact Shannon over at thehttps://thewdwguru.com website. She'd be delighted to talk about your next Disney vacation. This week's show is another dose of Disney news. First, Downtown Disney's evolution into Disney Springs is coming together. 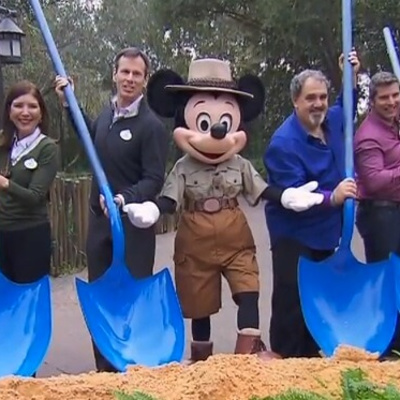 Next, there was a groundbreaking for Avatarland. 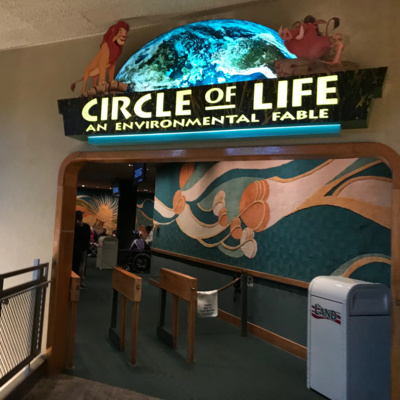 And finally, FastPass machines are gone from the Animal Kingdom, Studios, and Epcot…I talk about all of those, and a whole lot more! 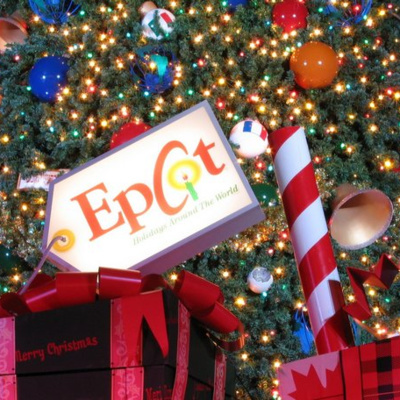 Today's podcast is a primer of sorts - a Disney World 101. Over the last few weeks, I got a number of general questions about the resort. 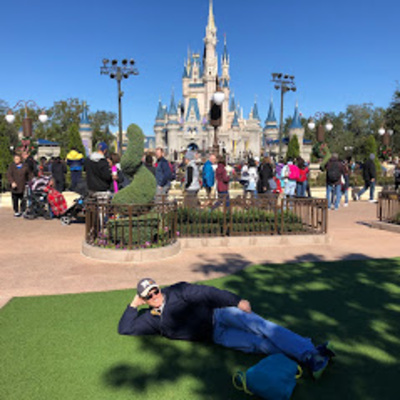 So, I thought I'd help set the stage for what's what at Disney World, and give a sort of 'lay of the land'…hopefully if you've never been to the Orlando resort, this answers those general questions you may have about what a "theme park" is, and what else you can do for free and what else is ticketed. If you have more questions, please let me know! Today's podcast is a movies review of... Saving Mr. Banks. Short version: I loved this film! I hope you did too. 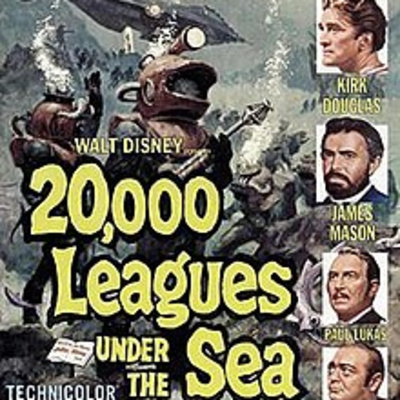 My lone problem with it was that it was a slightly Disney-ised and revised look at the history. It didn't quite work out this way, and I fill in the proverbial blanks on that. 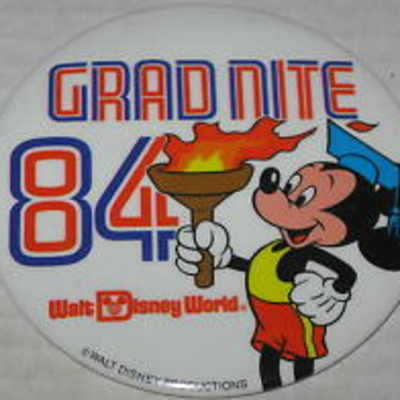 Still, it was great, and I can only imagine what it was like to work for the Walt Disney studios at that time. Now I do have a couple of other Disney movies that I mention on this podcast (I was busy catching up over the last few weeks!). 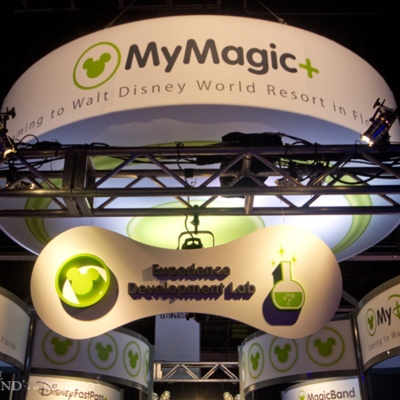 Today, I have still more information on MyMagic+. 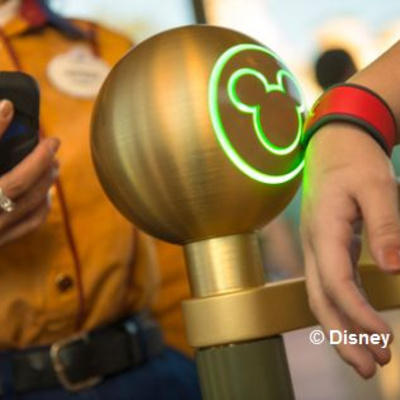 There's some new news, and a few updates….there is (as we expected) an active and passive RFID reader, and there isa requirement to have a biometric scan for park entrance. 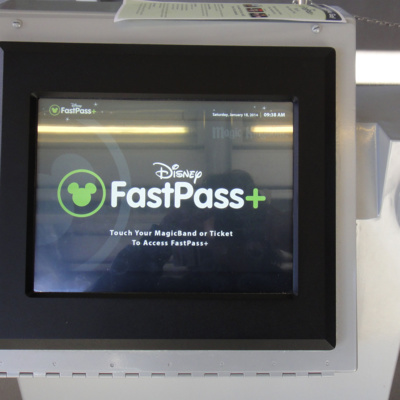 Meanwhile, old paper-based FastPass machines are being removed, and there are some increasing costs. Come on in and take a listen, and comment below. Today's podcast is a look at the history of the Reedy Creek Improvement District, and how it works within Walt Disney World. Full disclosure: this is not an original work by me. I am reading from a work from the Florida State Law Review, MERGING PUBLIC AND PRIVATE GOVERNANCE: HOW DISNEY’S REEDY CREEK IMPROVEMENT DISTRICT “RE-IMAGINED” THE TRADITIONAL DIVISION OF LOCAL REGULATORY POWERS by Chad Emerson. I present it for your consideration, but give full credit to Mr. Emerson for his work on the project. 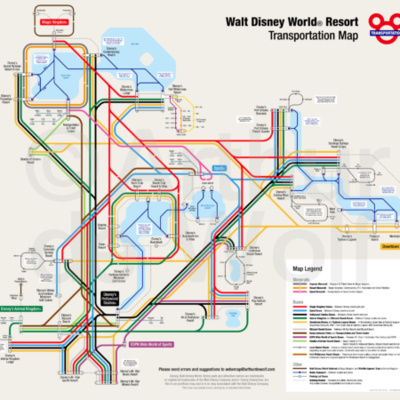 I personally love learning more about the history of Walt Disney World, and am fascinated by some of the things that happened to make the park we know and love. I have some audio left over from a recent trip. 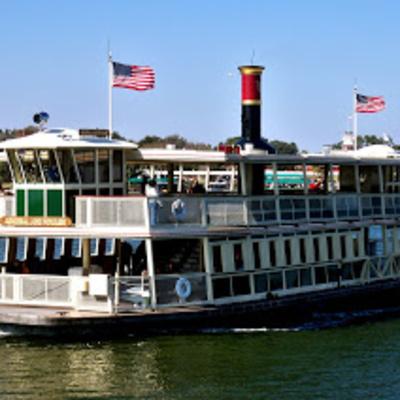 I talk about the monorail being unavailable during off-peak times, and ride the ferry boat to the magic kingdom. Plus, I tell a few stories as I wander around. Of course, the fun part is the history of who Admiral Fowler is. So take a listen and find out. 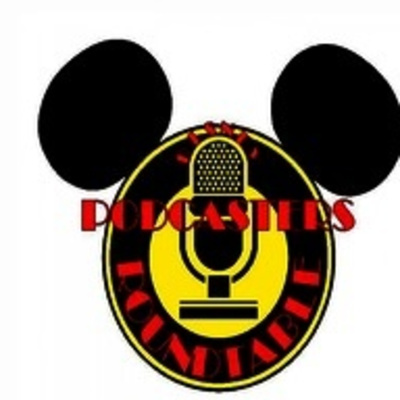 On this week's podcast, its a dose of Disney news. 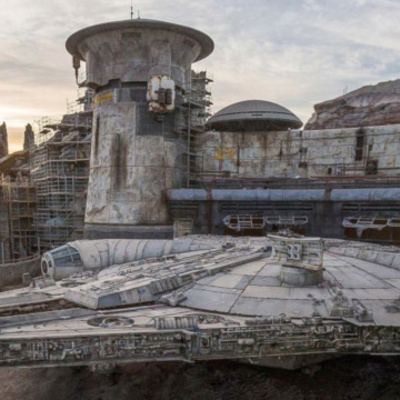 I've got some info on Cars Land, Star Wars Land, and Avatarland. 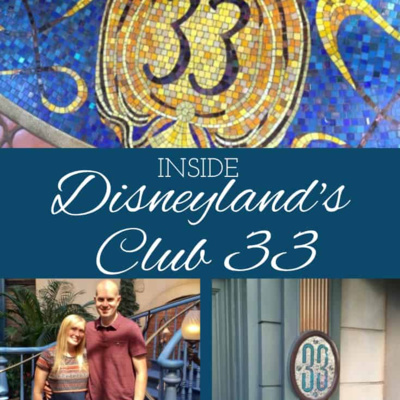 And I talk about the changes to the Guest Assistance Card, some resort updates, and a whole lot more! 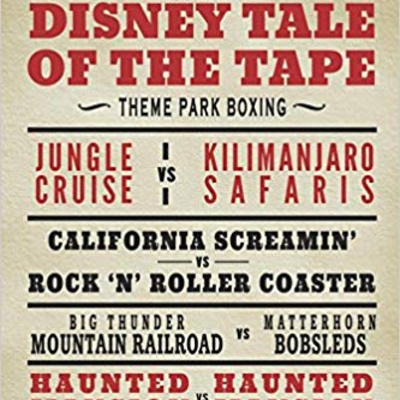 I also mention Sam Genneway's book, The DisneyLand Story, which is off to print. You can "hear" the entire story in Episode #147, where Sam and I discuss it. 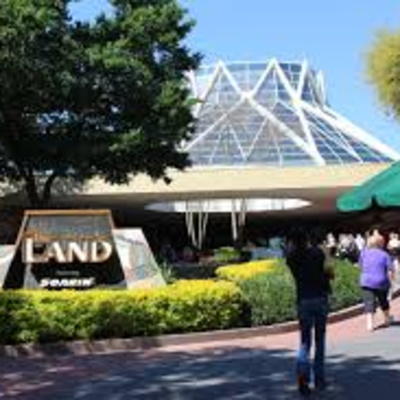 And you can pre-order (or order if its available when you read this) a copy of it "here"
On today's show, I hop onto the monorail at WDW that is heading from the Transportation and Ticket Center (or TTC as they call it in Disney 'code') and head over to Epcot. Then, I make the return trip. Come along and take a listen, and enjoy the ride! 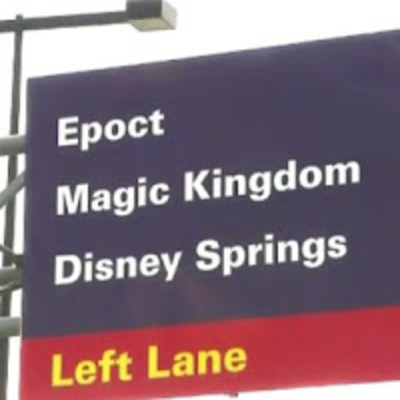 Remember that Disney World has three monorail loops: the Epcot loop, the Resort Loop (which you can hear in my last podcast), and the Express Monorail (which everyone knows so well when they head into the Magic Kingdom, and then back to their car). All three originate from the TTC, and make their way around to their destinations. Today's show is quite simply a ride on the monorail. Come along, close your eyes, and pretend you are there! A couple of thoughts: I don't really like the new narration. Its not as interesting and the host isn't as personable. He sounds almost mechanical in nature. 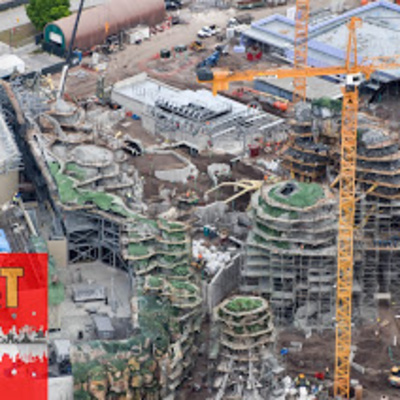 And - I talk about the renovations that were recently unveiled at the Contemporary....at the time I recorded this, the new "Top of the World" as it used to be called was still under construction. 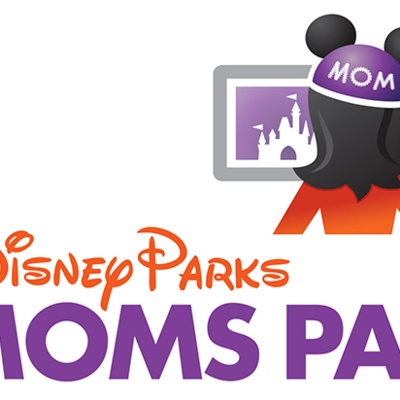 Want to save a few bucks and still have a memento from your trip? I've got you covered! Today's podcast is a look at some of free souvenirs you can find in the Walt Disney World Resort, and a few that have a nominal cost. You can find a lot of things around that have little or no cost that will help you make a memory.... I have 30 items on the list, that are under $20. I do them in descending price order, so it starts with the more expensive items, and ends with the free stuff. 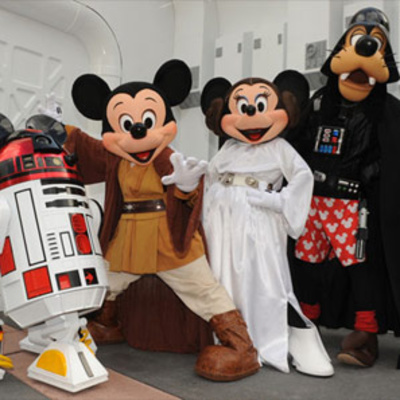 Disney's outlet stores: Disney’s Character Premiere store, located at Orlando Premium Outlets, Vineland Avenue Disney’s Character Warehouse store at Orlando Premium Outlets, International Drive(formerly known as Prime Outlets Orlando, originally Belz Factory Outlet World). 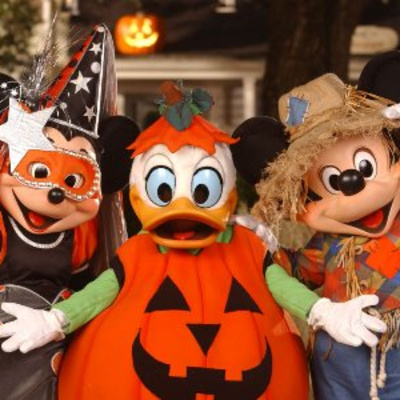 Character Corner store at Lake Buena Vista Factory Stores (and they have printable coupons!). 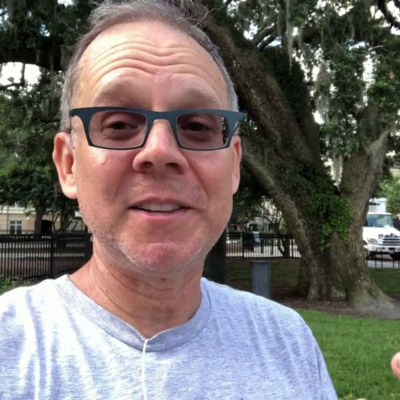 On today's podcast, Dave is off playing games in the park. I'm not talking frisbee or football here, but rather the Pirate League Adventure in the Magic Kingdom, and the Agent P experience in Epcot. Come join me as I try out the activities, and tell you what I think about them. 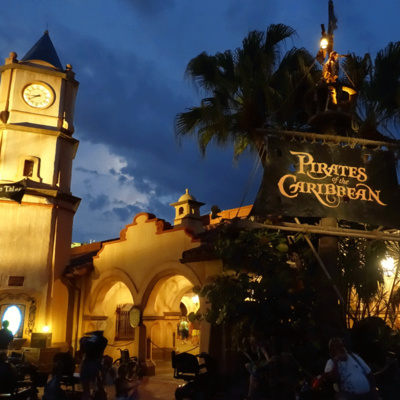 I will tell you that the Pirate adventure was kind of like Sorcerers of the Magic Kingdom: cute and clever, but doesn't hook you in. ...and you can hear all about that activity back in Podcast #103. 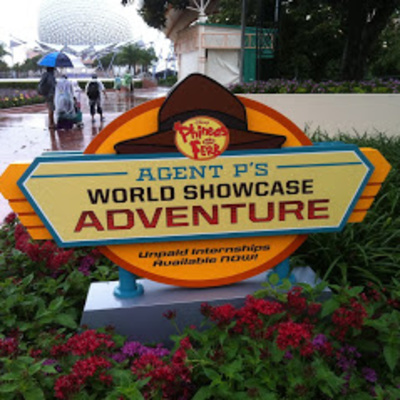 The Agent P experience was a different story all together. It was a lot of fun and I highly recommend it! 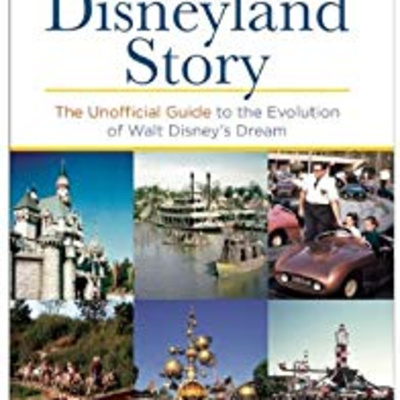 Today's Podcast features Sam Gennawey, author of The Disneyland Story: The Unofficial Guide to the Evolution of Walt Disney's Dreamto talk about Walt Disney's vision for DisneyLand, how it came to be, and how it shaped the future of the parks and the company. 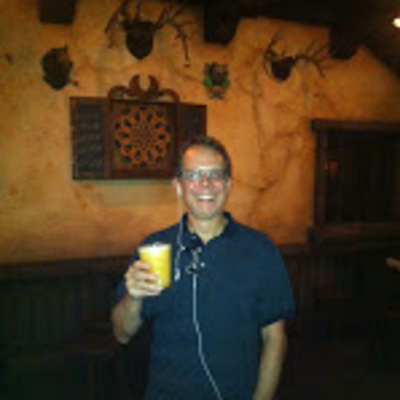 It was fun talking with Sam, since he has such a wealth of knowledge about the history of DisneyLand. I think you'll enjoy hearing it - and reading the book. Come along with me as I head out on a 4-park adventure. 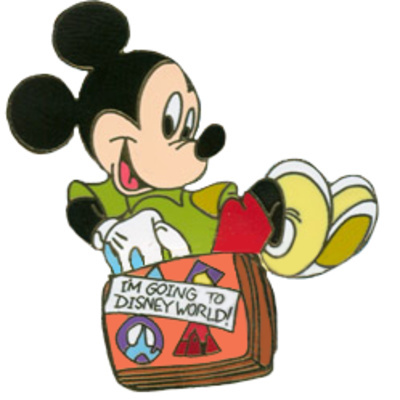 That's right, I was recently at the WDW resort, and visited all 4 parks in a day. The twist this time is that I only used busses and my feet to get between the parks. 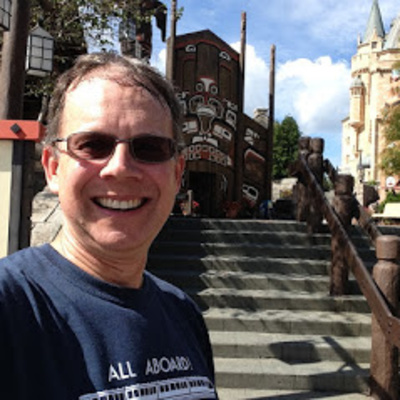 Take a listen as I tell stories and wander in and out of the parks. 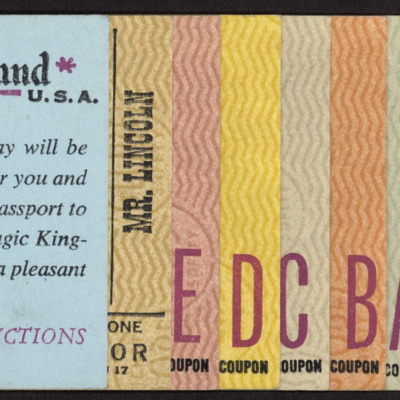 The order of parks for me was Epcot, Animal Kingdom, Magic Kingdom, and the Studios. The rationale was to catch Soarin' early in the day - and to end at the Studios for Hyperspace Hoopla (it was Star Wars Weekend). 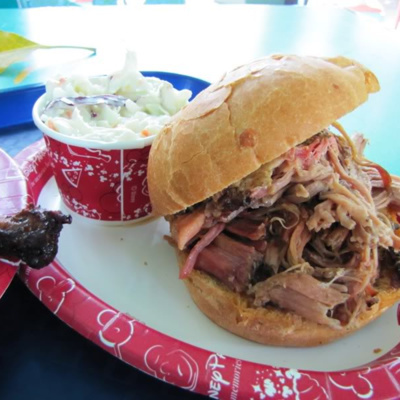 And I wanted to catch lunch at the Flame Tree, so that worked out pretty well. I'm trying a different feature. 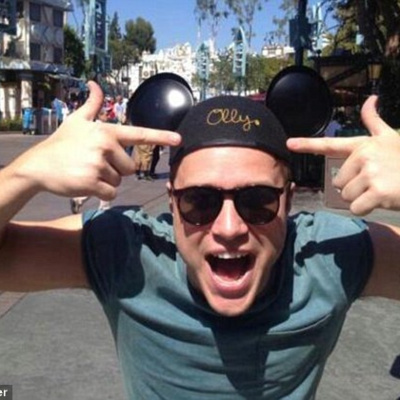 Rather than news, instead I'm brining you the odd news related to Disney. I hope you enjoy! 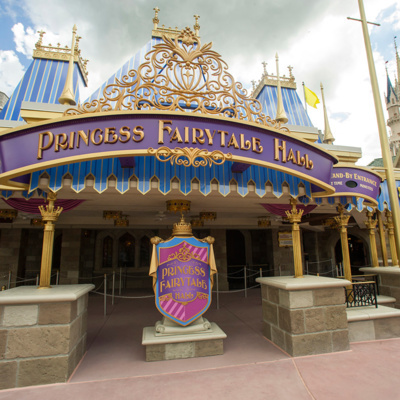 In the third part of the look at the new Fantasyland at the Magic Kingdom, I head into Enchanted Tales with Belle. You do NOT want to miss the video of how the mirror opens! Then, I step out and walk over to the Tangled theme area - which amusingly is a bathroom. 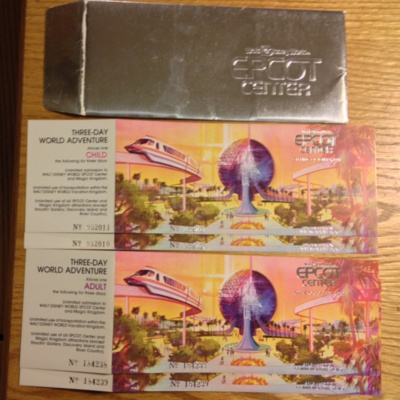 Recently, I took a trip to Walt Disney World, and I got an RFID-enabled card. I talk about the card, the experience, and what I know about the technology and speculate on what they're doing with it....come along and listen in and please let me know if you have any additional thoughts on the matter. Is it reading your fingerprint, or isn't it? What does Disney do with this information anyway? What does the future hold? I certainly don't know, but I try and set a context for you. Show #136 - What happened to 20k? And how did we get here? Welcome to part 2 of the 20k Retrospective. Today, I talk about the ride, and just how it all came together, and how massive the project was. 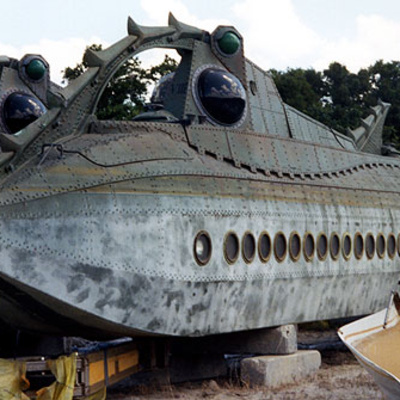 The subs were quite the pieces of work, and it was a remarkable feat to build them. And of course, I play the full ride audio for you. My thanks to 20kride.com for some of the information on this podcast. 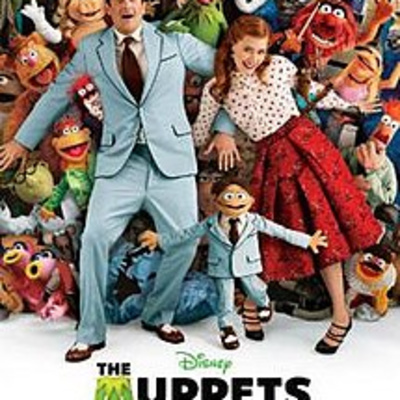 Show #133 - the Muppets! 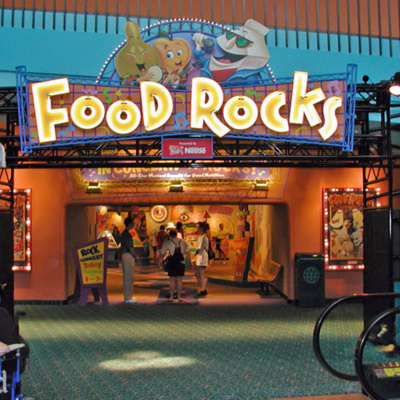 Today's podcast is a look at the restaurants that I personally am not that fond of, and probably won't return to - given the plethora of choices that exist around the resort. Its not that any of them are bad, its about the bang for the buck, given my tastes and what they offer. Its really about how, IMHO, they miss the mark in some way. 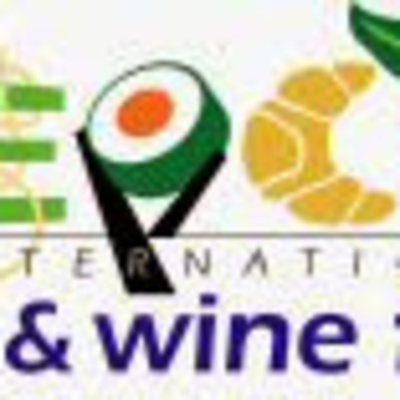 For some of them, its the way they use their space, for some its the food, and for a few the "experience" is great but its off for some reason. Now I know that - probably - no one will agree with my list in its entirety, and I'm sure some will think I left off a restaurant. But I wanted to throw out my list and get the conversation started. 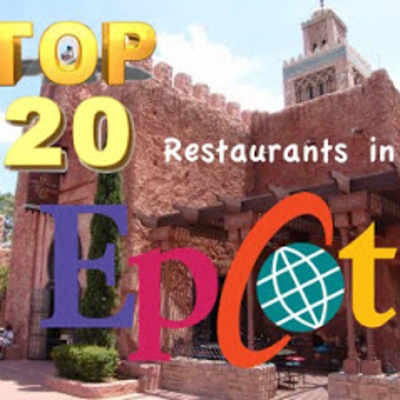 #10: Mickeys backyard bbq / Hoop De Doo #9: Tony's Town Square #8: Garden Grill #7: Liberty Tree Tavern #6: Pizza Planet #5 O'hana (breakfast) #4: Chef Mickeys (dinner) #3 1900 Park Fare (breakfast) #2: Cinderella's Royal Table #1: 50's Primetime Cafe Have a restaurant you feel this way about? Want to quibble with my list? Post a comment! This podcast is the full audio from the show before the changes that were made at the end of last year. And of course, I have to provide some context about the show - how did it all start? who was the imagineer behind it? And who are all the bears anyway? Sit back and just enjoy the Country Bear Jamboree! On today's podcast, I have a number of things to talk about. 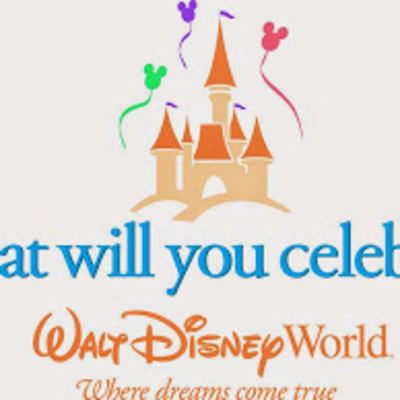 Starting with the Star Wars franchise, the rumors about Cars Land, new things to do and see at Walt Disney World, and lots, lots more! I also talk about Tony Baxter retiring, Disney's effort to buy the Scripps Network, information about a company Digital Domain, and I end with a discussion about "Escape from Tomorrow" a movie made surreptitiously at Disney World. Today's podcast explores topics from previous podcasts. 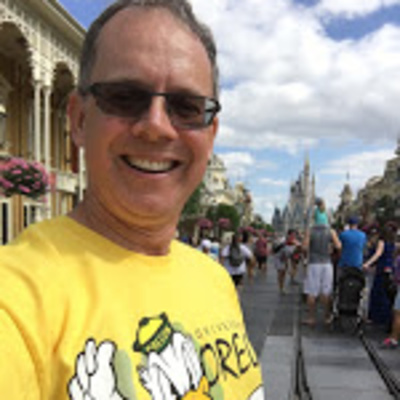 First, there is a more expansive discussion about how to save on your Disney vacation (from podcast #123). Yes, you can save if you look for some discounts or "bundle" tickets, meals, and hotel. 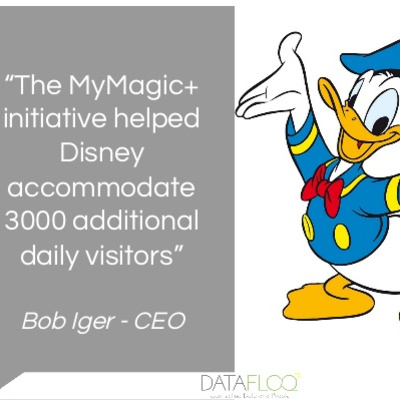 And you really should consult with an authorized Disney travel agent such as Destinations in Florida Next, I look at MyMagic+, now that there are more details emerging....I spoke about this on podcast #124. I've got some new information I recently learned, and I share that; plus there are some articles about the topic that I found. Let's say that there's some interesting "stuff" going on, and that Disney has invested a lot - but there are still many questions to be answered. One article I mention is from Salon.com article about retailers watching you...its worth a read in its entirety. 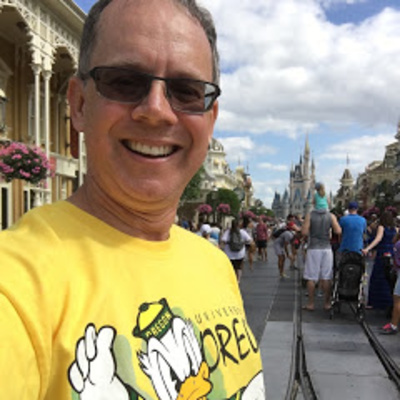 On today's podcast, Gary Miceli is back to cohost with me as we go through the Top 10 things you should do when you arrive at the parks. Maybe you are a new visitor, or haven't visited in a long time. We give you some tips to make things flow a little bit easier, and hopefully help you to relax and enjoy your vacation. If you are interested, you can find Gary on Facebook. Now each of us has about five things to share, and while this list is by no means comprehensive, it does give a flavor for the types of things you should do, and what we recommend doing first. 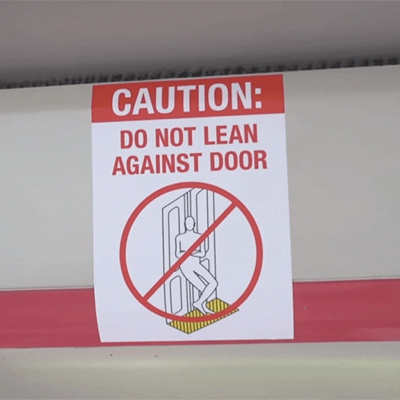 If you're a newbie to the park, hopefully there's some info you can use. And if you're a seasoned pro, hopefully we'll give you a couple of ideas to try in the future. And if you want to debate a few of them, please post a comment! 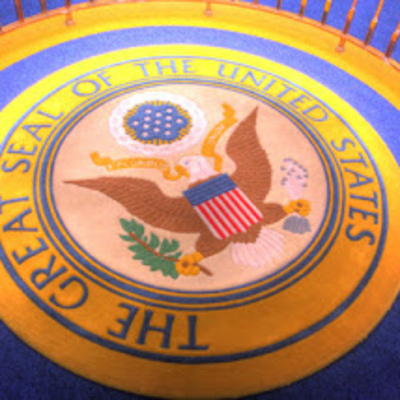 Today's podcast is the audio of the show that was re-written in 1993 to slightly revise the historical nature of our nation's history. 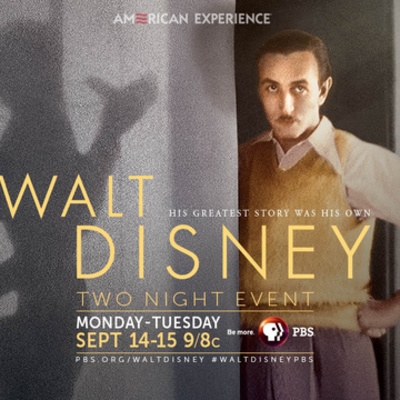 And some might say its more than "slightly" because it talks about a more politically correct late 20th century version of history than maybe Walt would have liked. But it still has a certain sentiment that makes it special and unique. It features poet Maya Angelou as the narrator. And for the first time, you hear a president speak in his own voice. 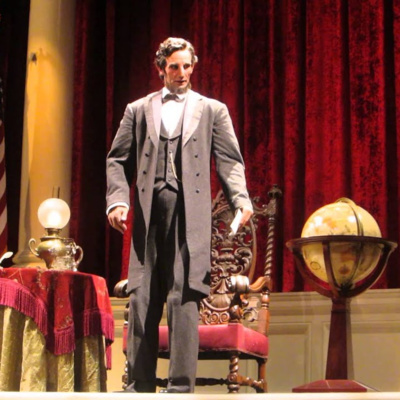 The presidential inauguration is coming up soon, so I wanted to continue to look at the Hall of Presidents. Previously, I played the audio from the current show (check out podcast 74). And then on episode 116, I delved the history of the show. On episode 117, I played the original audio from the show (as it was heard from 1971-1993). 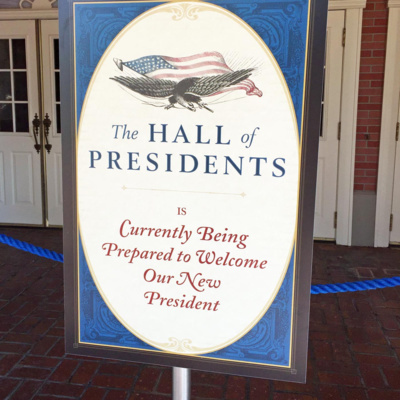 Welcome to "part 2" of the Hall of Presidents retrospective. Today, I take you through the show, and explain the script and its relevance...and how it changed/evolved over time. There are some interesting side notes in here, and I include a clip from Lou Mongello's WDW Radioshow. You should visit his show for more.